Once we finally arrived at our destination, Bexleyheath, a suburb just SE of London, we needed to find dinner. Fortunately there was a Chinese restaurant just across the street from our HOTEL!! All the info to date had been that England, particularly London was ridiculously expensive. 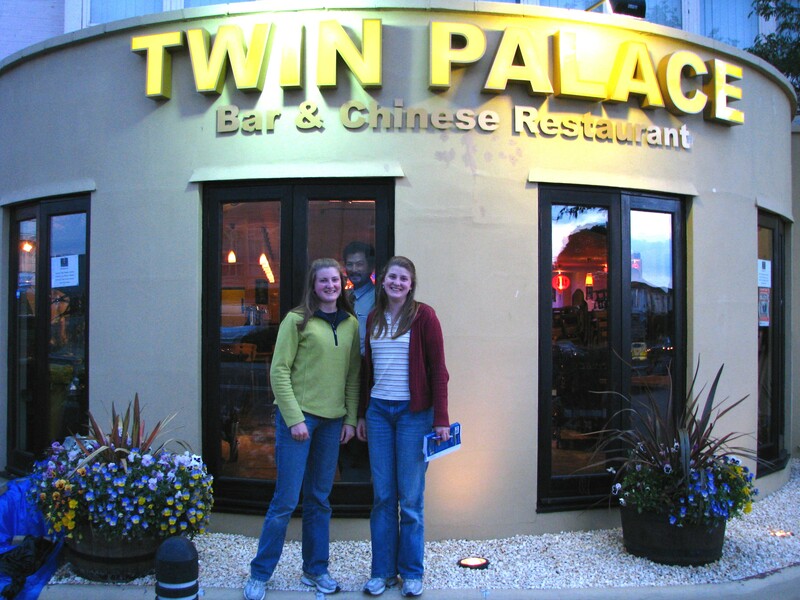 Much to our delight, this was one of our BEST and cheapest dinners, at none other than the TWIN Palace (not famous, but the twin part was fun). We had a hotel the last 2 nights in Europe. It must’ve been very welcome, because after dinner I couldn’t get the family out of the room for ANYTHING. The girls were engrossed in their book giving the inside story behind the BBC filming of Pride & Prejudice. Jordan was probably downloading photos, and John was just plain relaxing. 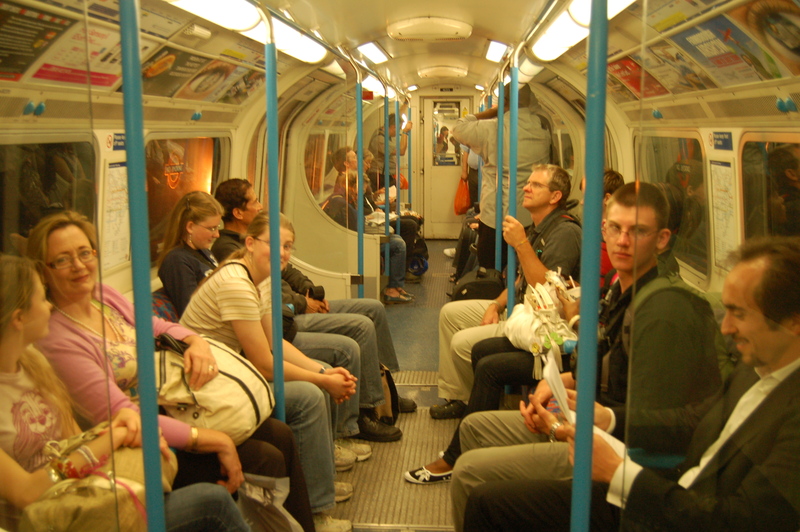 The next morning we walked to the DLR station to take the train into London. This being our 4th large city, we FINALLY started getting the hang of the intricate transportation maps (OK, we’re a little slow). 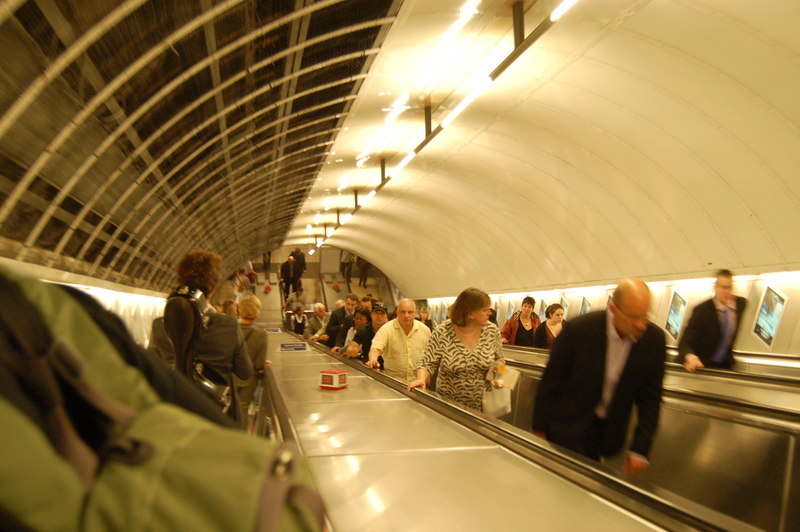 We connected with the Tube (London’s subway system) in a huge train/Tube/bus station called Charing Cross. 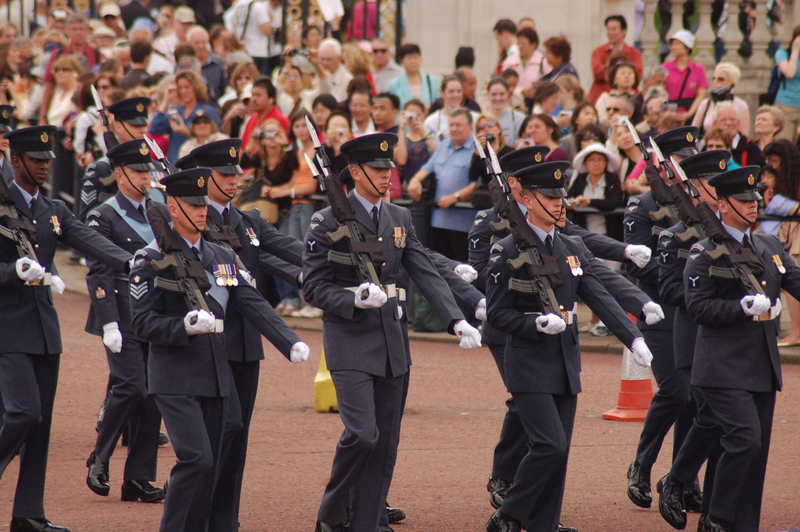 We had waited until 9:30 to leave the suburbs because it saved $65 or more on our one day passes (for 5 of us)… so we got to town pretty much just in time to head over to Buckingham Palace to see the changing of the guard. 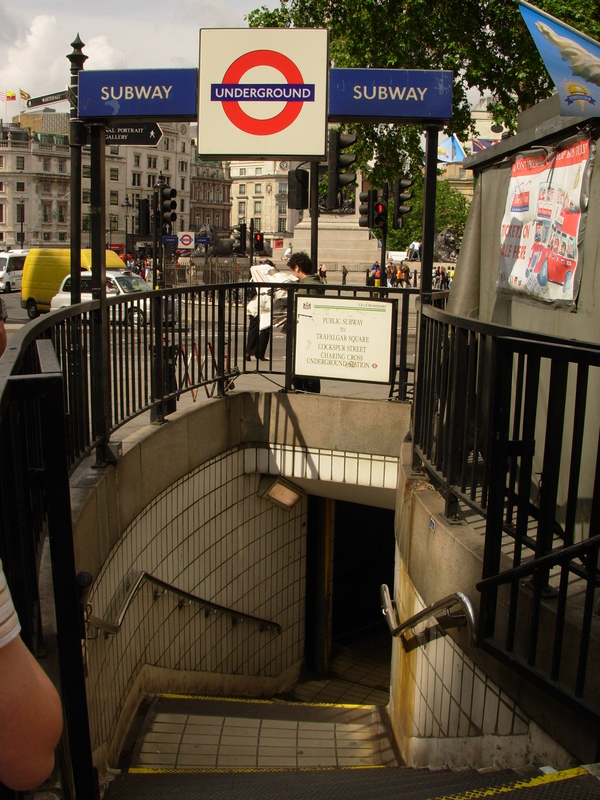 Needless to say, the huge station didn’t lend itself to making quick decisions about which way to go to get to the palace! Walking toward the palace we came across an access to the tube… the kids shouted!… evidently they recognized the entry from some computer game they played at some point in time. 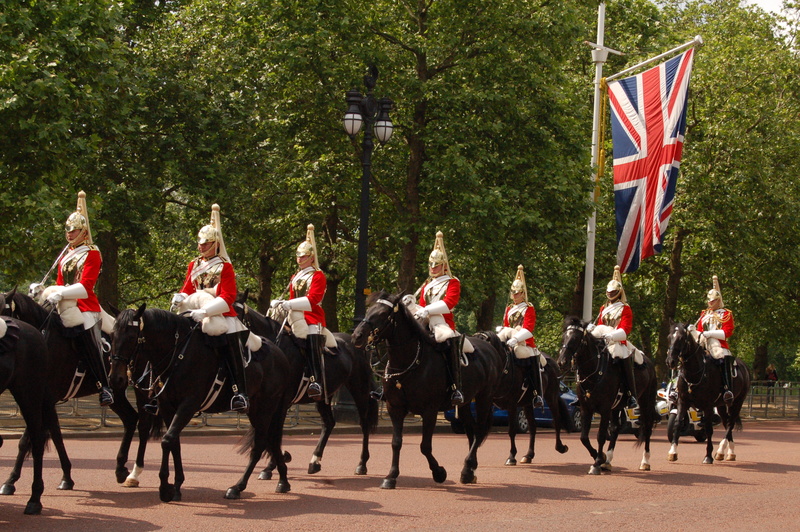 But, we found our way in plenty of time to see the cavalry come clop, clop, clopping down the major boulevard lined with British flags. The Rick Steves tour books really ARE good. 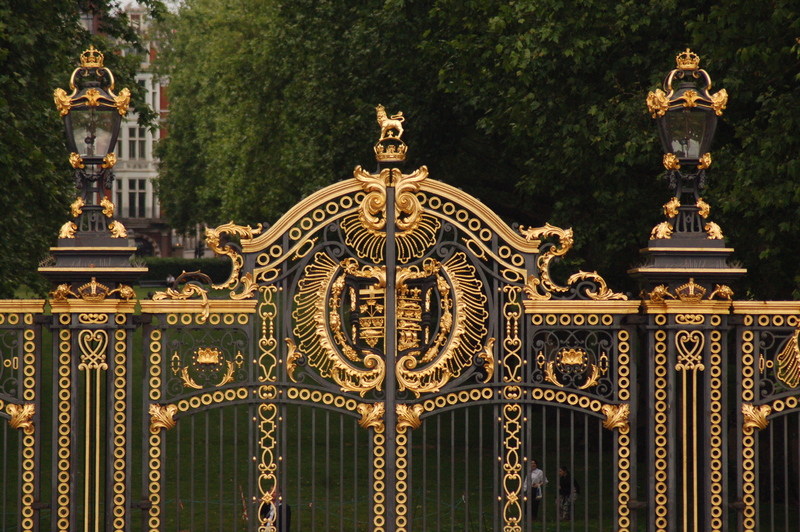 He recommended standing in the center of the big round-about in front of the palace gates. It’s high ground relative to the street level, and it enables you to move around, getting the best view of incoming and outgoing units… horse, marching & band. It doesn’t let you see up close what they are doing just inside the gates, but you can’t have it all. The whole event took about 45 minutes, some of which were pretty boring, but you HAVE to do it at least once because that’s part of the London experience. 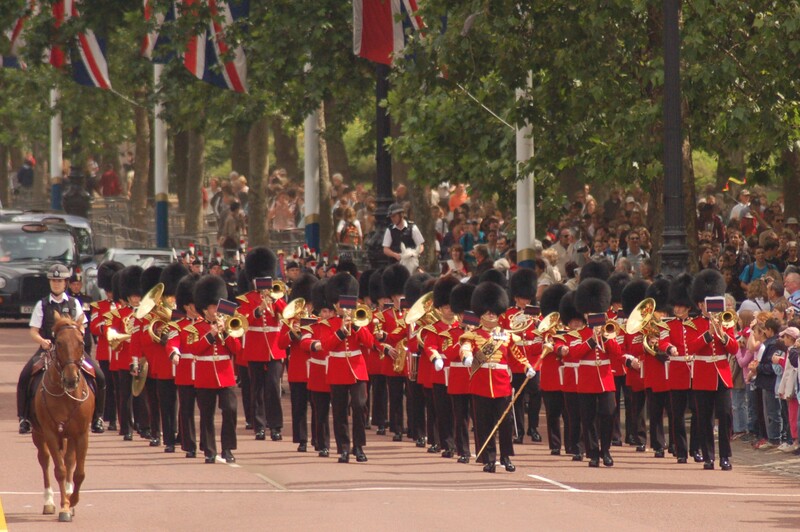 The horses come by, the guards march in, the bands play… from outgoing & incoming sides, and it’s fun. 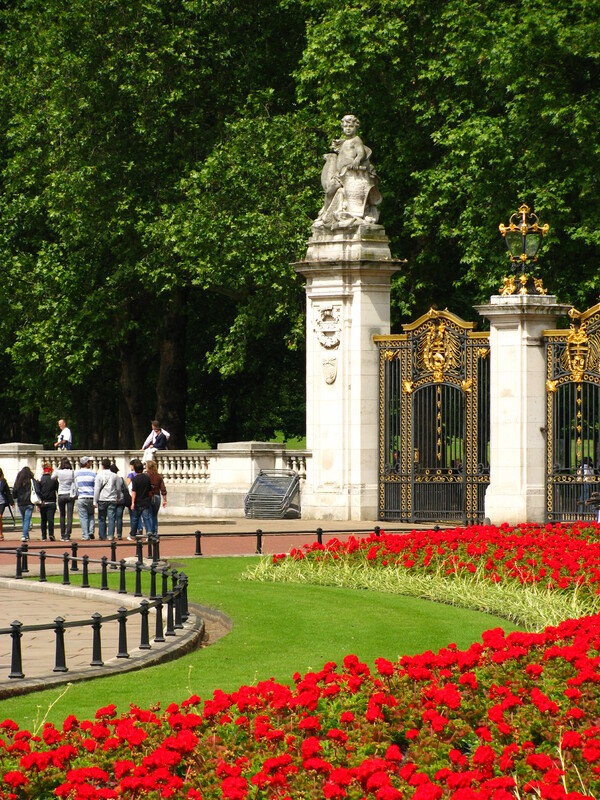 The palace and its surroundings are patriotic with all the flags, and pretty with all the flowers, the fountain in the middle, and the ornate, gold fencing. It’s quite the event. 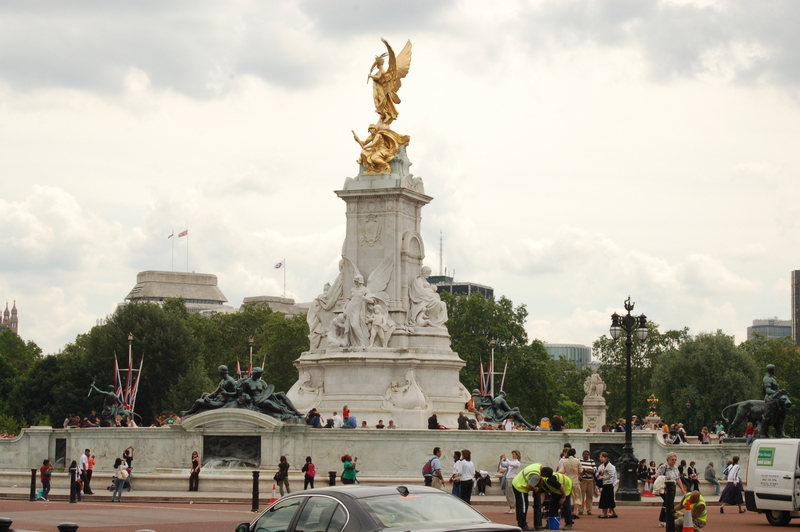 The traffic circle in front of the palace is a very active part of traffic flow in the area, yet at this time of day, every day, it is intermittantly closed for the various processes that accompany the event. Sometimes the poor cars have to sit for quite awhile while some official unit marches down the road or crosses an intersection. The police (bobbies) are on foot and horseback. 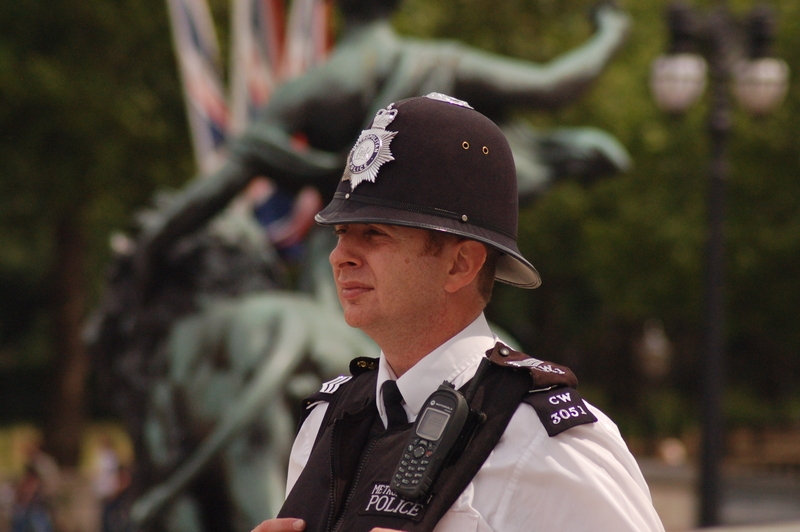 Its interesting to watch the crowd and the bobbies watching the crowd. They are definitely alert, sweeping their eyes over the action and talking to co-workers over walkie talkies. All that said and done, we headed off with the rest of the crowd to our various destinations. 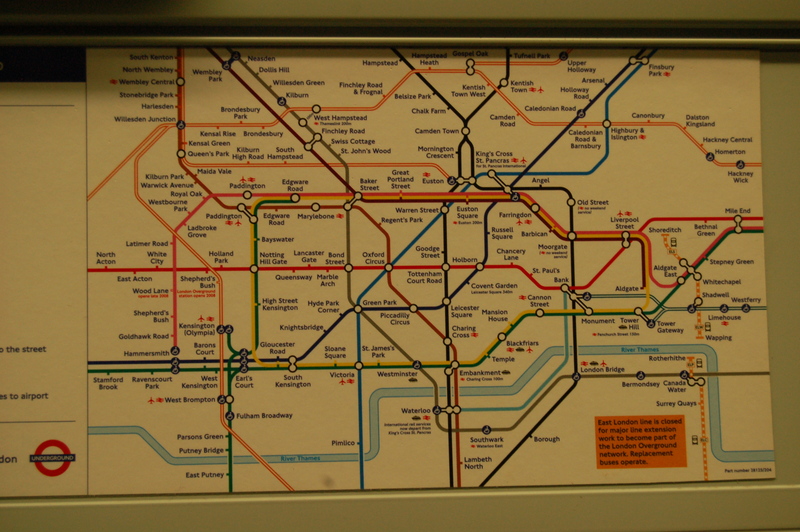 The Tube was great in that the different lines were color coded on the map, and on the bars in the ‘trains’ themselves… well, most of the time. Although the overhead intercom was in English, they spoke so fast with such an accent that we only caught about 50% of it. Which was interesting because we realized that up until that point we hadn’t even been paying attention to the overhead announcements in Paris, Rome & the other cities where we didn’t speak the language. We often just followed the flow of people, confirming the direction on our maps. 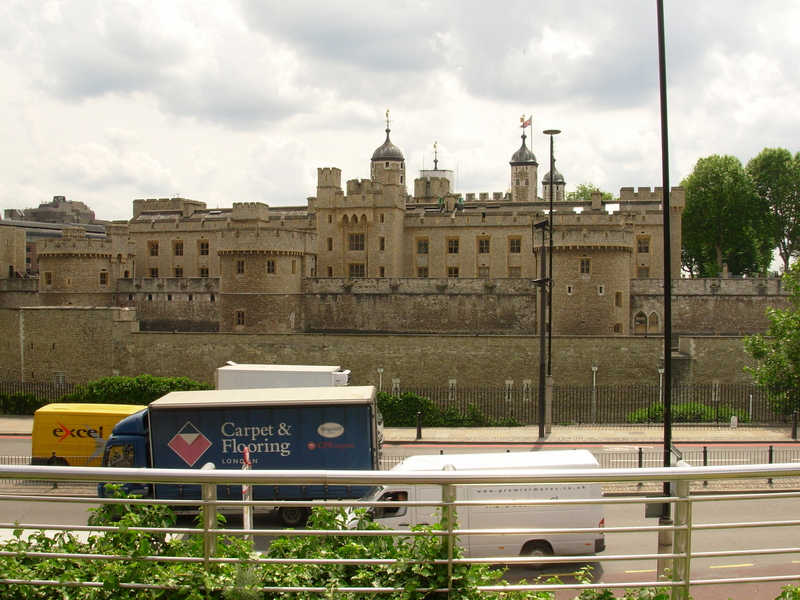 The Tower of London with its history and the Crown Jewels was next on our list. 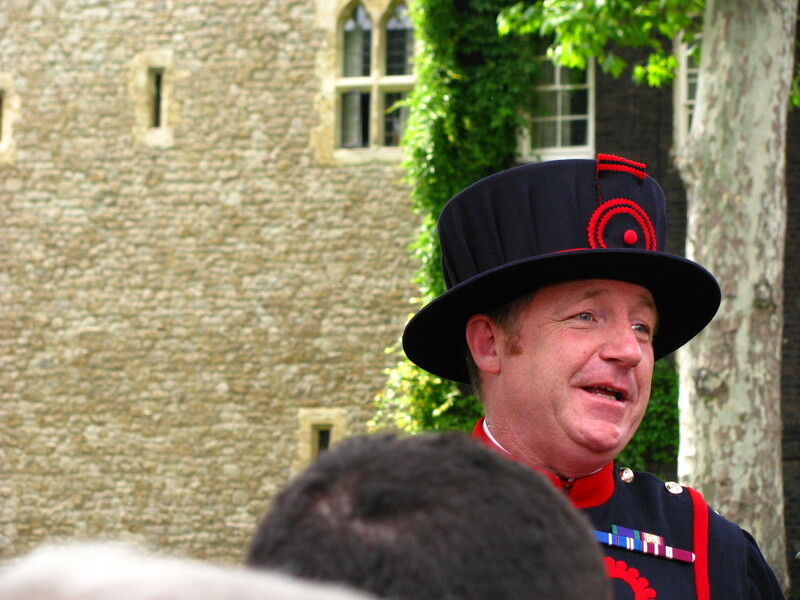 This was right up there with the fortress in San Marino, not so much because of the architecture (which was cool), but because the Beefeater tourguides made the history funny while it was still very informative. The tongue-in-cheek delivery really was fun, especially when he poked fun at Mel Gibson and his historical ‘portrayal’ of William Wallace. 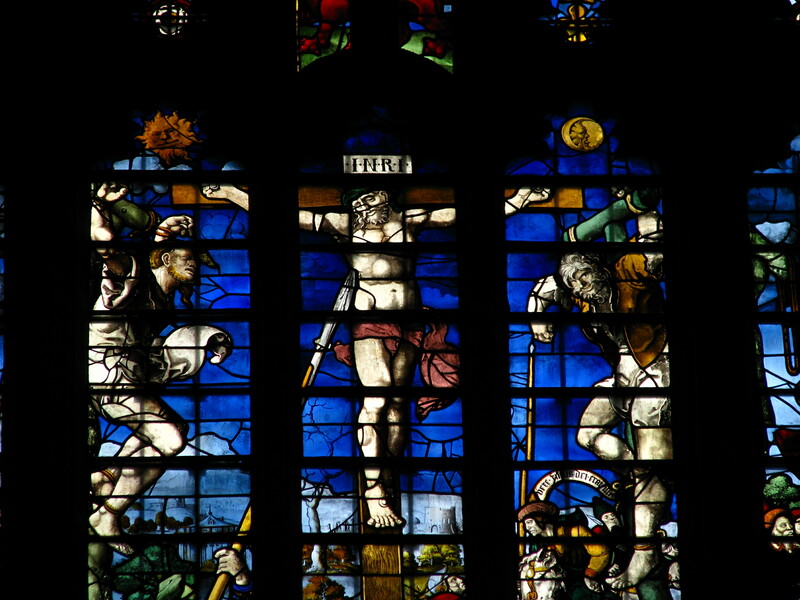 The guide’s graphic description of being drawn and quartered made his assertion that Wm. Wallace probably did not yell, “Freedom!” as his entrails let off steam into the cool London air. Besides the Crown Jewels, which are worth seeing (no photos) the extensive weapons display satisfied the guys (and we enjoyed it, too). 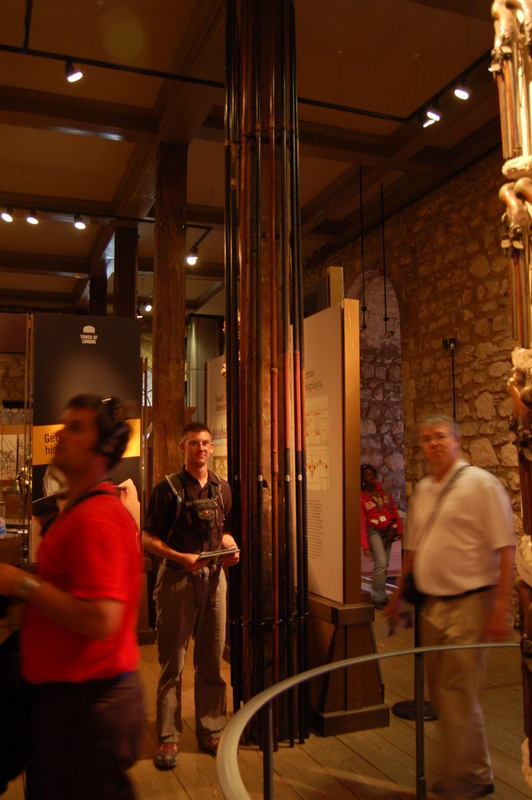 Jordan was particularly impressed with the 15 foot long ?spears?… ?lances? and the armor, of course. 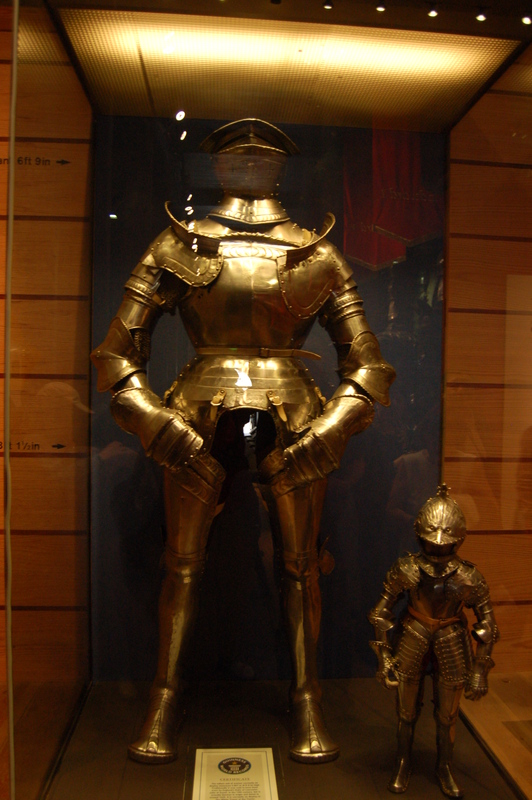 Note the small prince’s armor next to the adult’s. Next we wanted to see the Rosetta Stone in the British Museum, but got caught in the Tube trying to make transfers to various lines because the one we needed was having troubles. 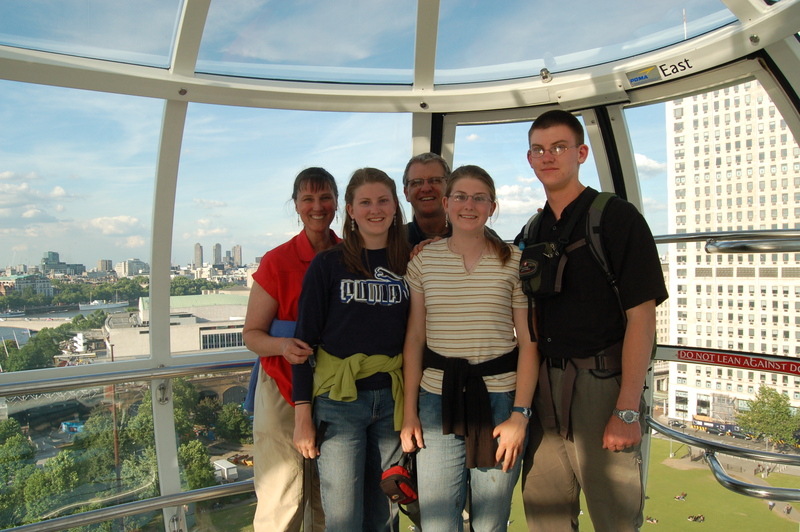 A couple of commuters were having the same problem and were kind enough to help us, even to the point of saying, “I’m going there, just follow me.” By the time we got there, the museum was closed… so, next and final stop, the London Eye. 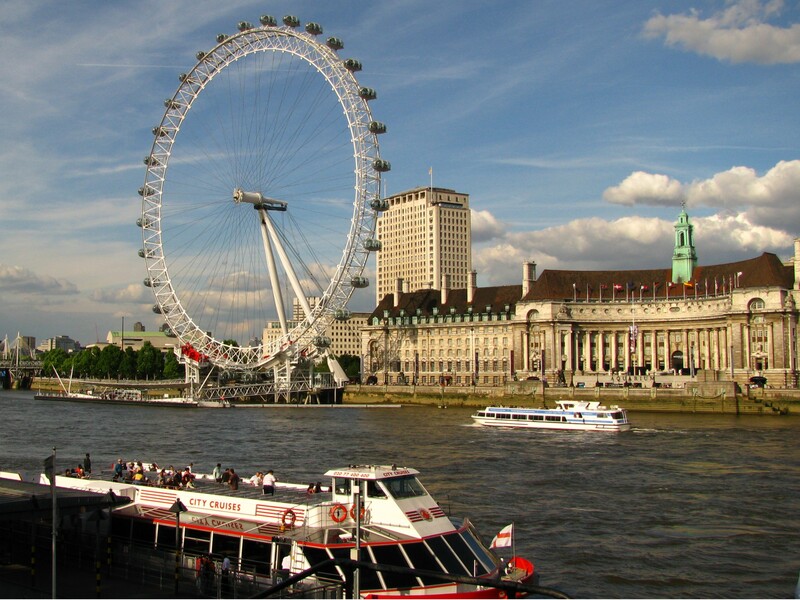 The kids recognized the London Eye from “The Silver Surfer” Fantastic Four movie. 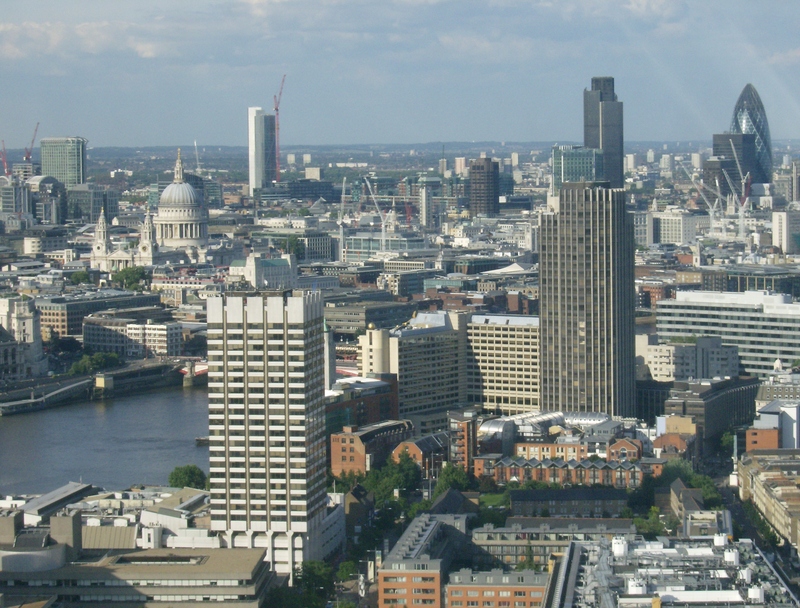 As with most major cities, there is some kind of water associated with them, in this case the River Thames. We like to get to the highest point in a city so that we can see the lay of the land, and really get a feel for its character. 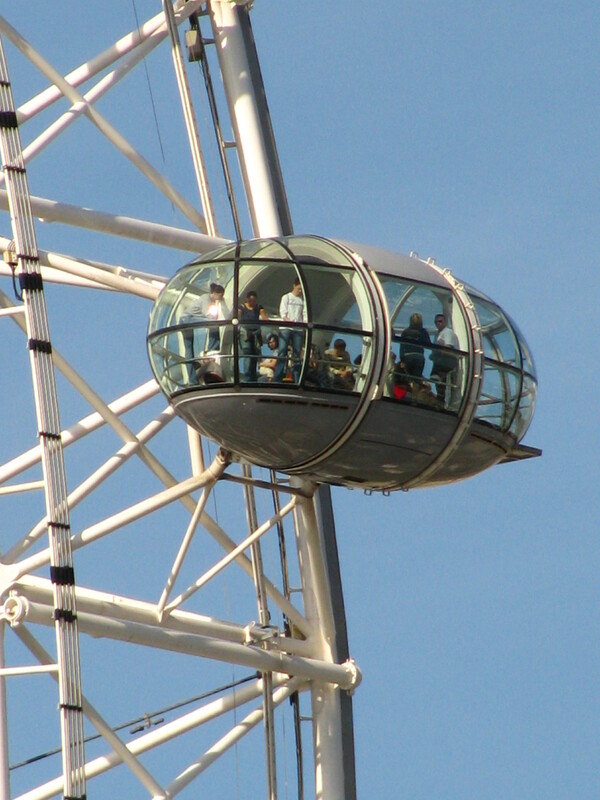 The London Eye provides this opportunity with each of its ‘transparent’ pods. Each pod is about 20 ft. long and 10 ft. high, and can carry 25 people. It pauses for each pod to have a nice amount of time at the top. All along the whole trip we noticed how kind people were to each other regarding photos, no matter the nationality or language barrier. They would offer to take a photo for a family, or would quickly move if they noticed they were in the way of you taking a photo. Most places you are allowed to take photos if you don’t use a flash. 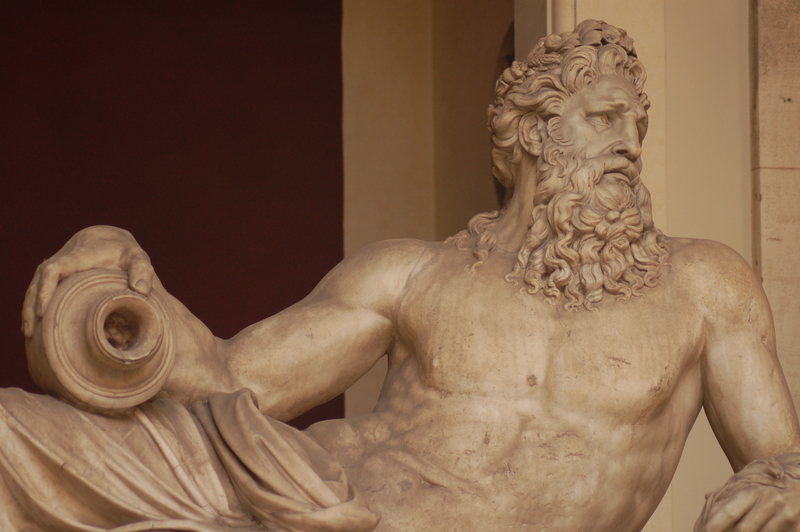 The most flagrant lack of honoring that rule was in the Sistine Chapel. The whole time we were there the staff had to call out in a monotone voice “No photos, no photos”. 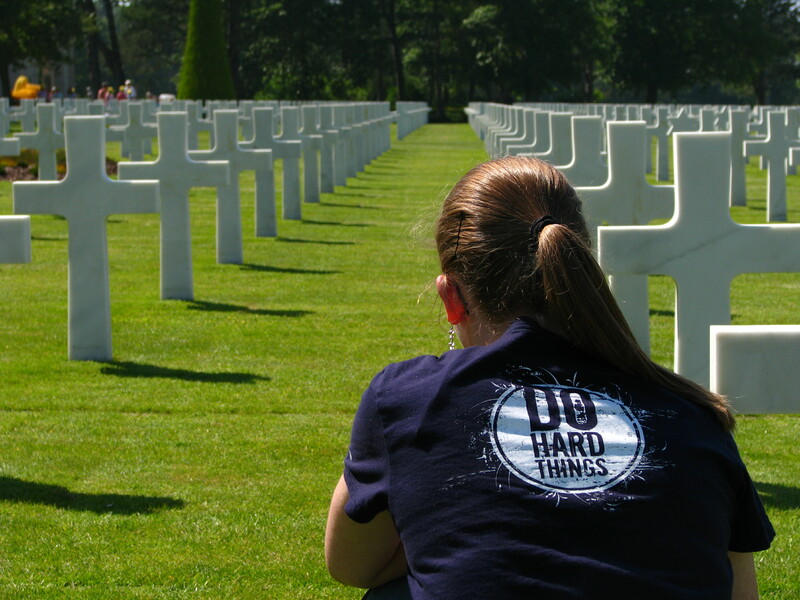 It was tough to honor that since so many people weren’t. See if you can find the historic St. Paul’s cathedral mixed in with the modern buildings, and then find the ultra-modern Swiss embassy. 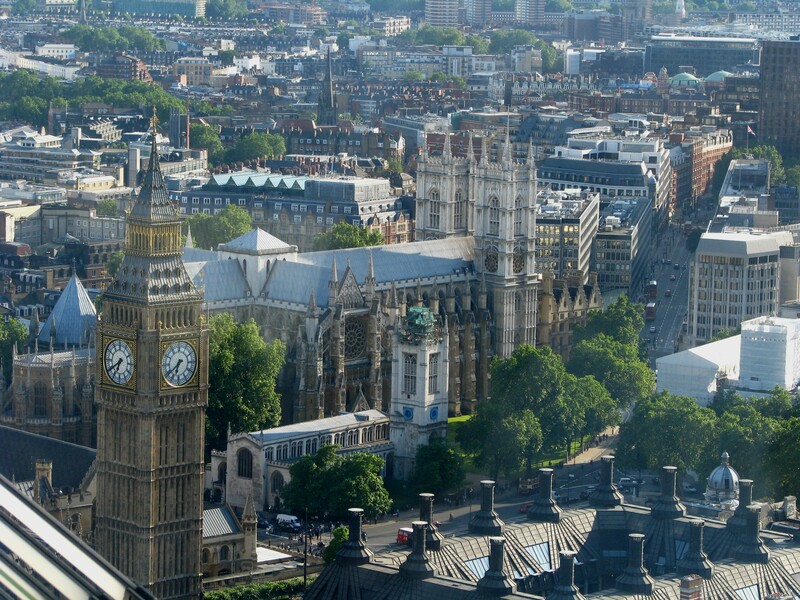 Here’s Westminster Abbey and Big Ben. 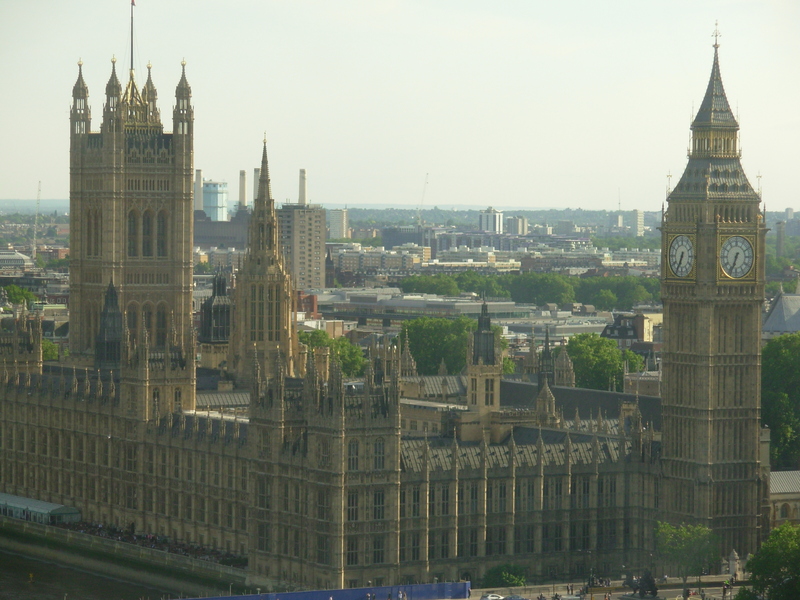 Which are right by Parliament, which Big Ben is part of, but not the abbey. Most of our time was gone, but we wanted to see a bit of the city at night, as we had done in all of the big cities. 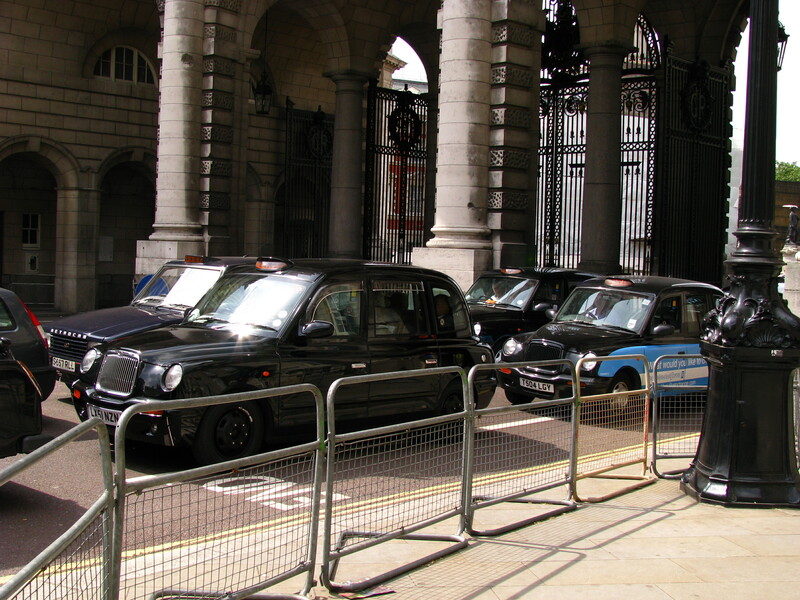 So, we poked around seeing what was distinctly London. 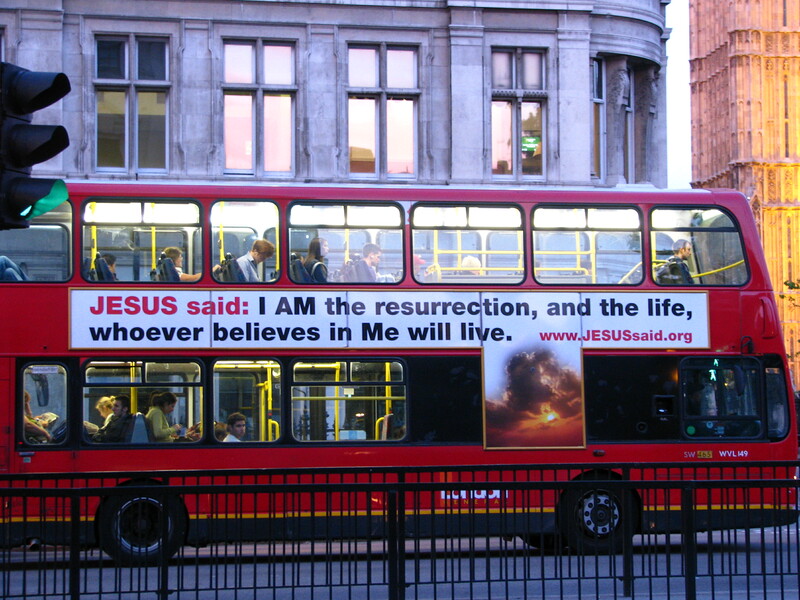 The buses are double deckers. And Texas has its own embasy! With literally 16,000 pictures it’s hard to chose. Hope you’ve enjoyed what you’ve seen… we have! 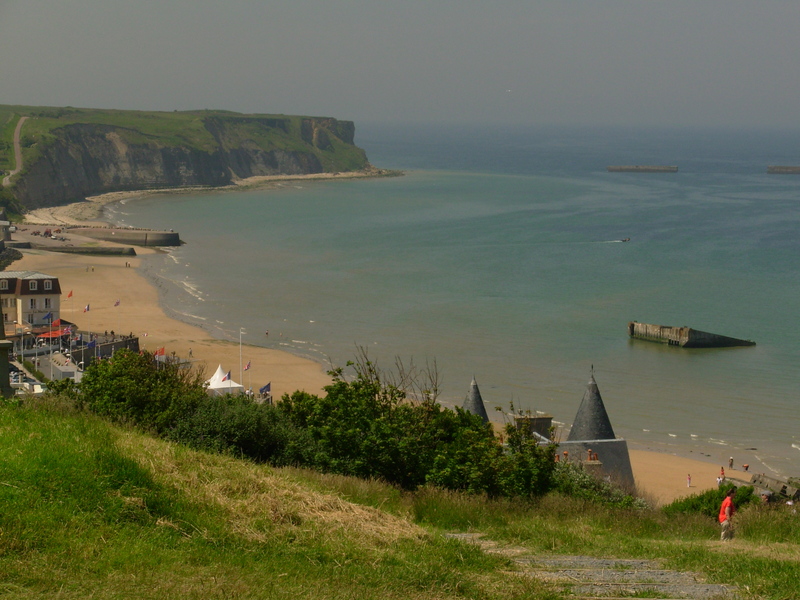 We left Europe by crossing the English Channel from Calais, France, heading for Dover in the United Kingdom. 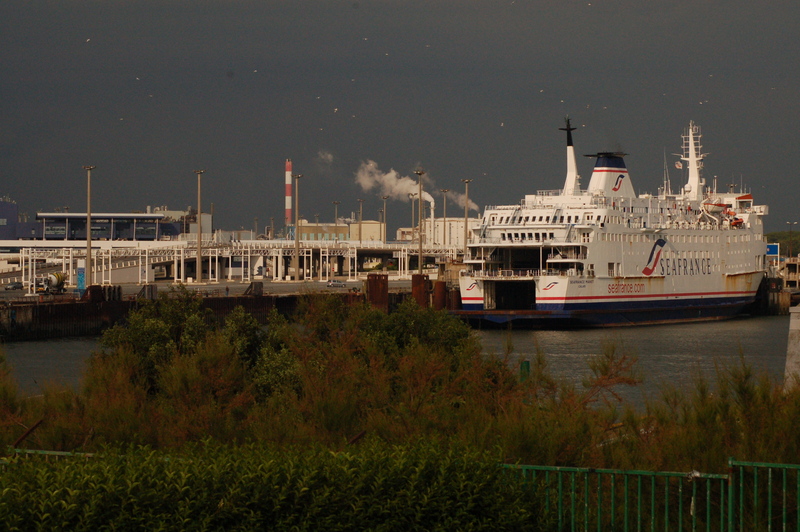 In Calais, we could see our SeaFrance ferry, from the campground. It was quiet even though we were so close to the docks. 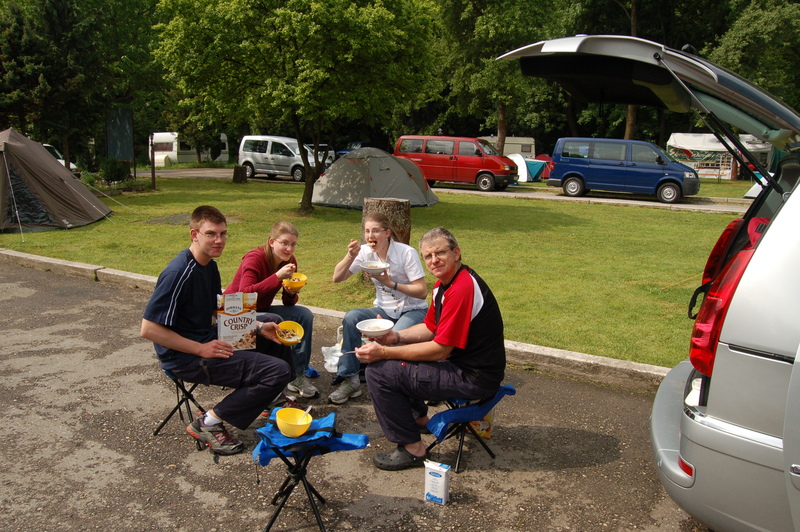 Our last night in Europe was a bit tricky because the campground was closed by the time we got there. A telephone number was posted on the door, but we’d not made a call in 3 weeks, and hadn’t really figured out how to do it. John got in by following another car after they opened the gate with their pass. No problem. We figured we’d pay in the morning. Well, the next morning, we found out they weren’t going to open until an hour after we needed to leave to catch the ferry. The problem: we can’t get out because we don’t have a pass for the gate! We managed to find a sympathetic Frenchman who really didn’t speak English, but knew the universal gestures for money (we needed to figure out how to pay for the campsite) and “How do we get out of here?” He swiped his card to open the gate. 🙂 We did our best to translate the campground fee schedule, wrote a note, and deposited the money (in a ziplock bag) with the note, through the mail slot. Whew! 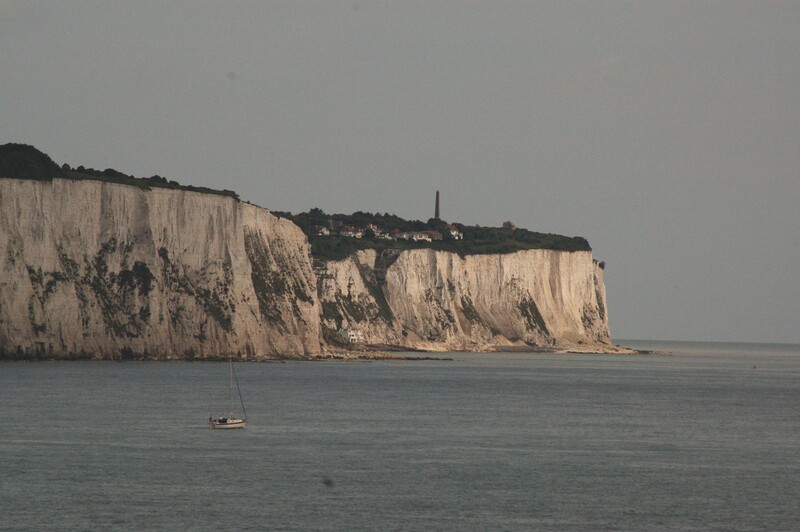 The next morning we saw the white cliffs of Dover as we continued our adventure. 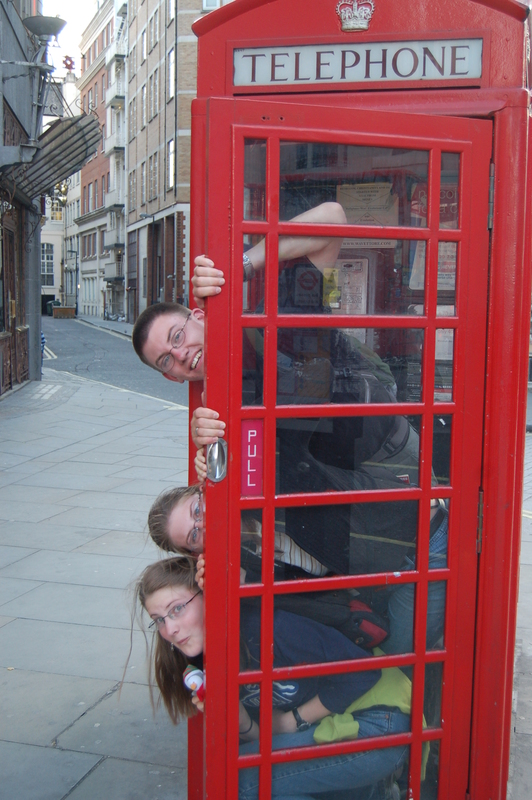 Somewhere in Europe a local asked if we were British! I thought it was obvious from the moment we opened our mouths, that we were American. I guess it’s about as easy for some Europeans to distinguish English dialects as it is for me to know the difference between high and low German. Wahoo! Driving on the left side of the road is something that one CAN do, but wow does your subconscience brain get thrown for a loop. Okay, the steering wheel is on the left and the car is on the left, but when you come up to a round-about, you don’t go right… you go left, and you exit to the left off of freeways. And when you are turning right into an in/out driveway, you go to the FAR side of the driveway. Then after you’ve got it pretty well under control, and are driving down a country road (pretty narrow with NO shoulders) and there is no traffic, you feel pretty comfortable. 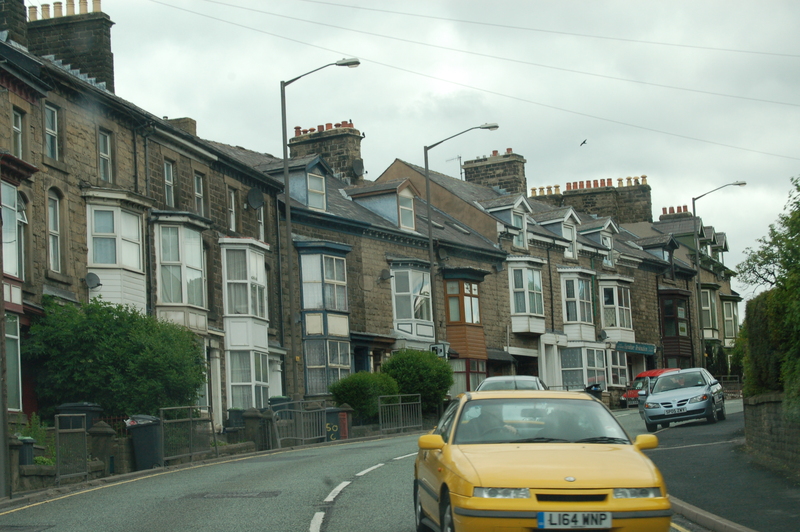 Then you come around a turn, or go over a hill where there is a car coming towards you, and you brain goes, “ALERT! ALERT! That car is NOT supposed to be on the RIGHT side of the road!” Even though the oncoming car is NOT in your lane, your preprogrammed brain remembers that the right side of the road is supposed to be for YOU not them… or so it thinks. 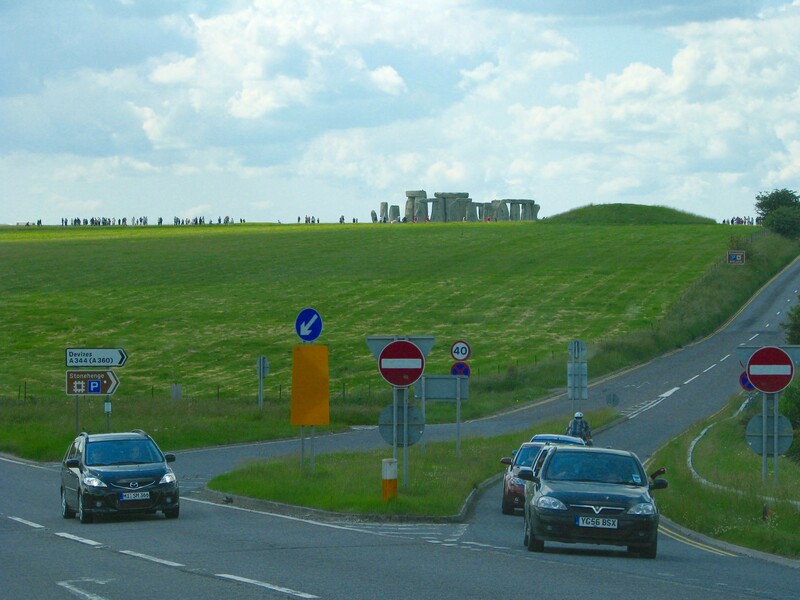 So, you’re the driver… where do you turn to go right to get to Stonehenge? Yowzer, the timing that you’ve developed over the past years is all messed up! At least the signs are in English! 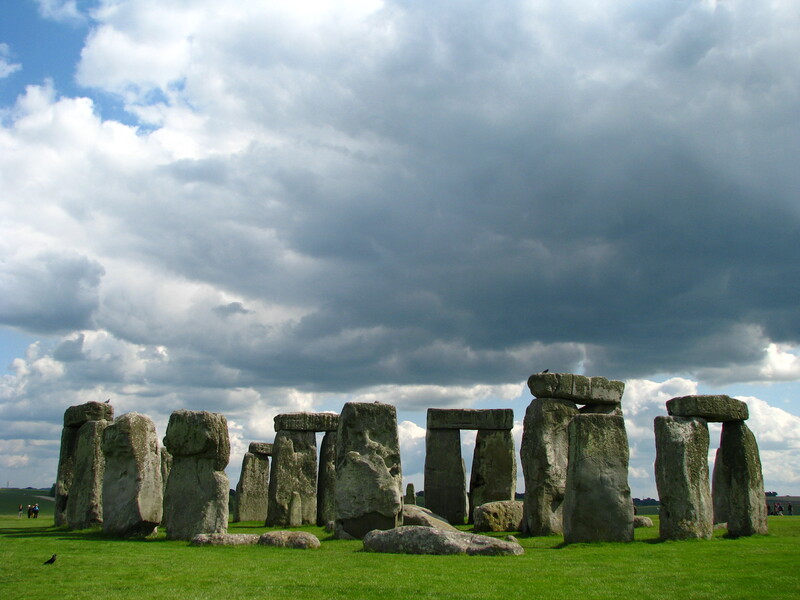 Stonehenge WAS cool. I’d heard that it was roped off, and you couldn’t get in amongst the stones, which was true, but it really didn’t take too much away from the sight. If it were later in the season and there were gobs of people, I imagine it wouldn’t be very nice, but this was just fine. 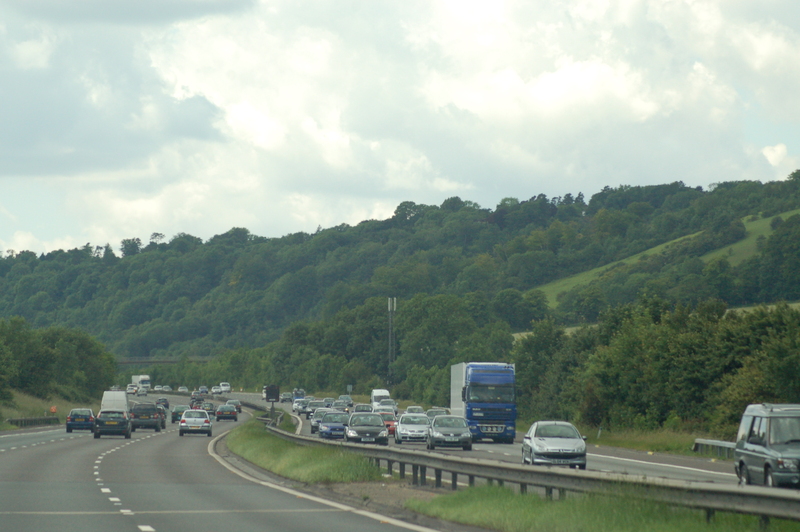 The English countryside was also lovely. 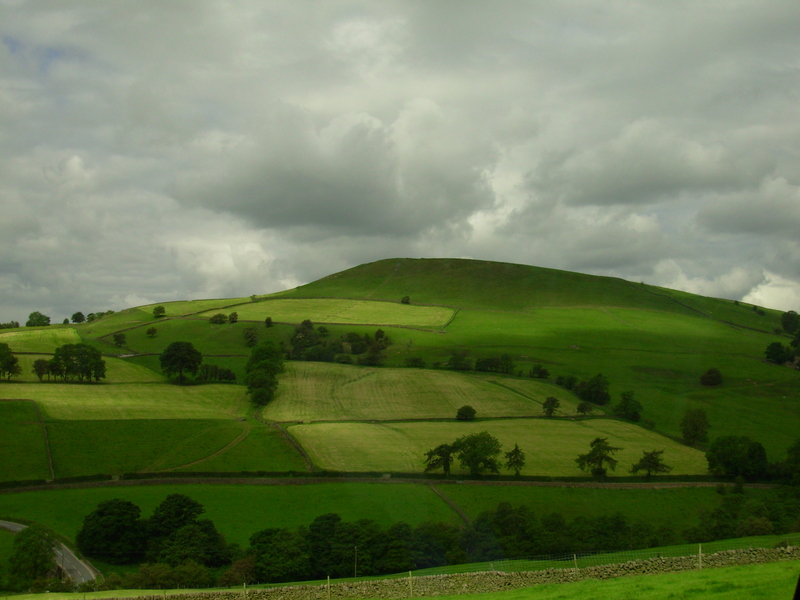 We headed north towards the peak district. No GPS now, it was good old fashioned maps and patience as you couldn’t determine which exit was the one you wanted to take from the round-about. 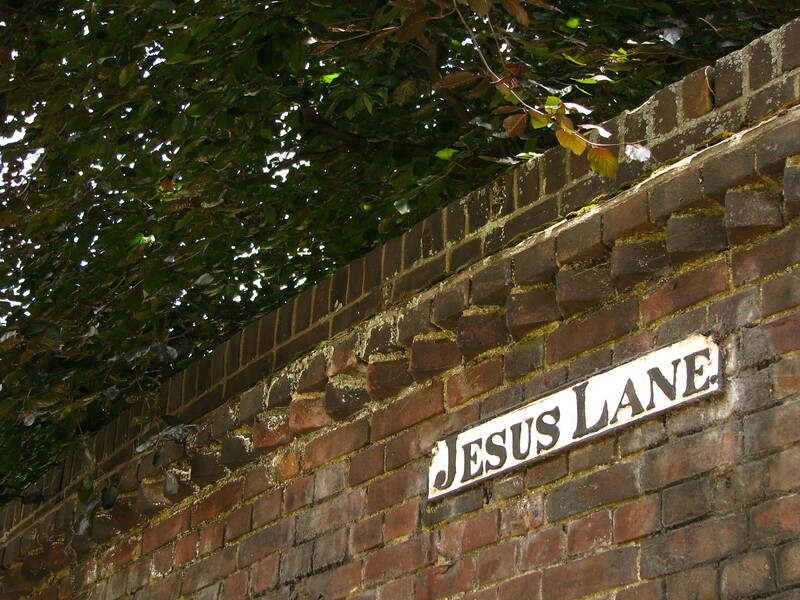 Heaven knows the names of the towns weren’t any of the ones you can find on your detailed road atlas or map. North, South, East and West distinctions are a low priority here, but even more so in Europe. Going around the round-about one more time is definitely a survival skill for marriages. 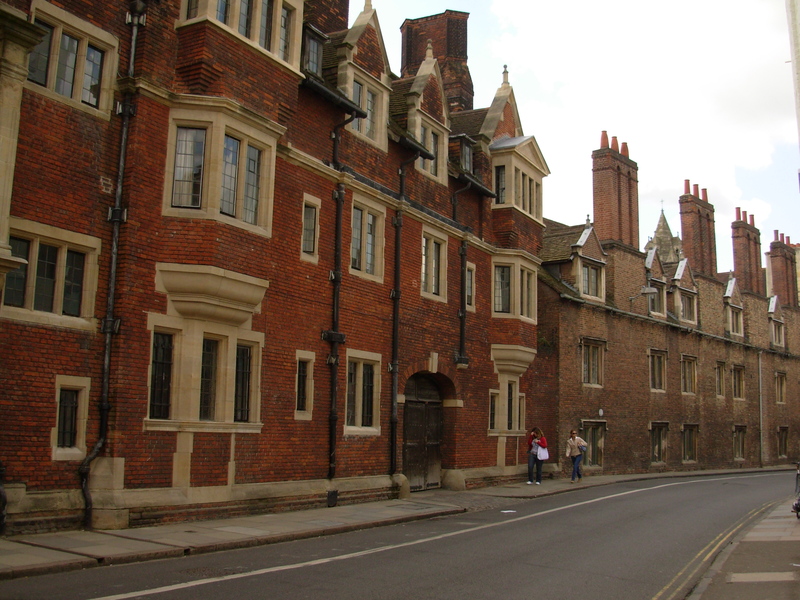 Architecturally, in the small towns, the cut stone found in the houses of Europe gave way to red brick and LOTS of chimneys all stuck together, in England. 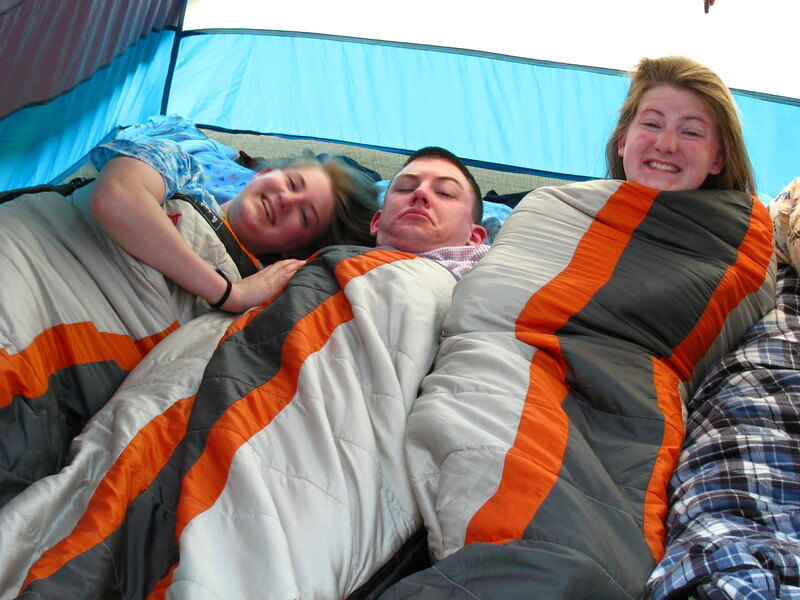 This was the only night on our trip we got turned away from a campsite, it was 10:00 pm. After trying to find something closer to the town we were in, we remembered seeing some tents on a hill behind the Wild Boar Inn. Half an hour or so later, we were able to set up the tent and sleep. John & Jordan opted to check out the live music in the Inn. Nothing like a local pub where the patrons have had plenty of time to enjoy the evening. We were awakened at 3 am as a couple of loud customers found their way back to their tent while the sky was already becoming light with the early morning… yep, further north. After some more sleep we found our way to one of the sights we looked forward to the most… Lyme Park, better known to us as Mr. Darcy’s Pemberly in the 5 hr. BBC version of Pride and Prejudice. We discovered some interesting things, such as, this view when Lizzy first sees Pemberly from the carriage is actually taken from a trail that no carriage could possibly pass on. 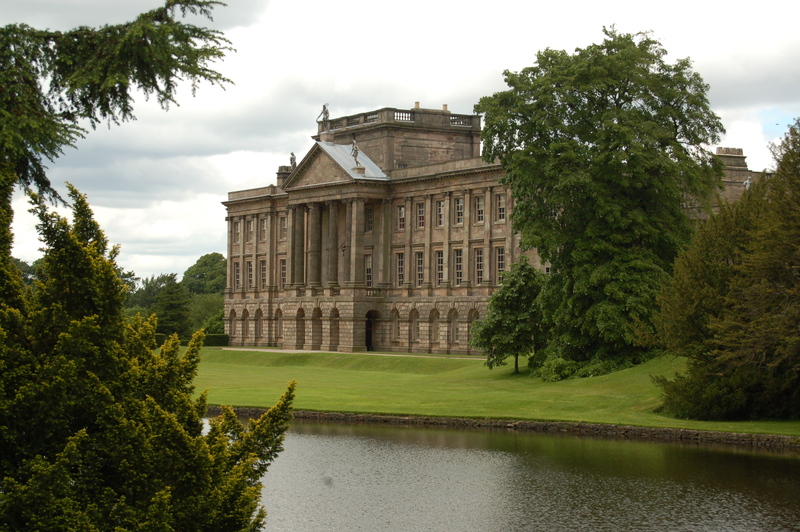 Also, the interior of this location, Lyme Park is NOT the interior shown in the movie… the tour was still interesting. 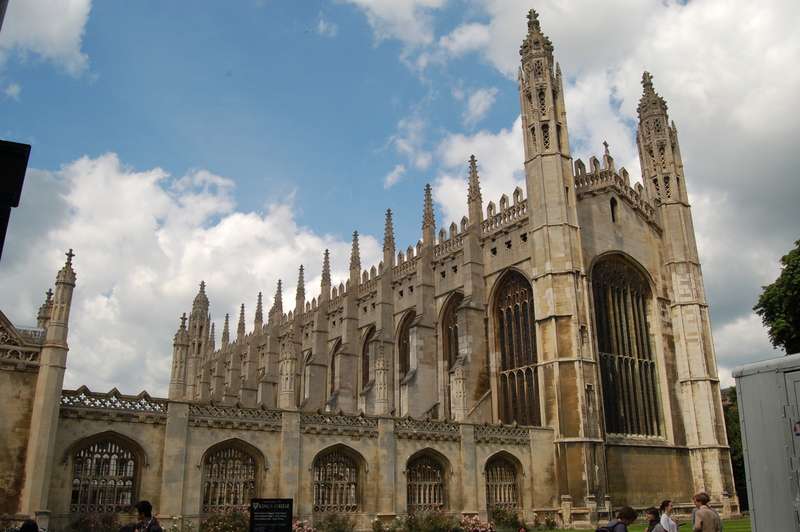 The grounds were beautiful and quite extensive… which we only saw a portion of, as we headed off to Cambridge. The different commands for crossing streets are fun… at least we can READ these. 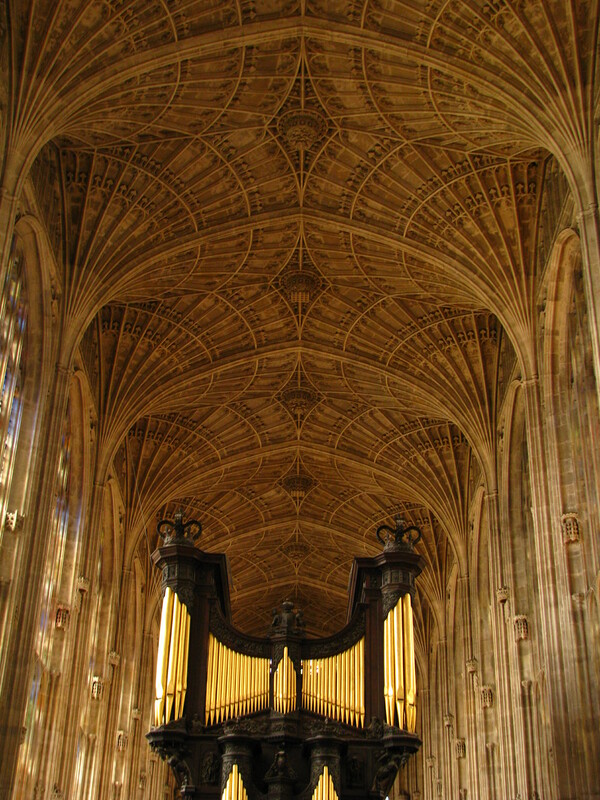 The King’s Chapel at Cambridge was a destination Jordan chose out of an architecture book he got for Christmas one year. The insides were beautiful along with the students playing Vivaldi while we enjoyed the architecture, organ and stained glass. 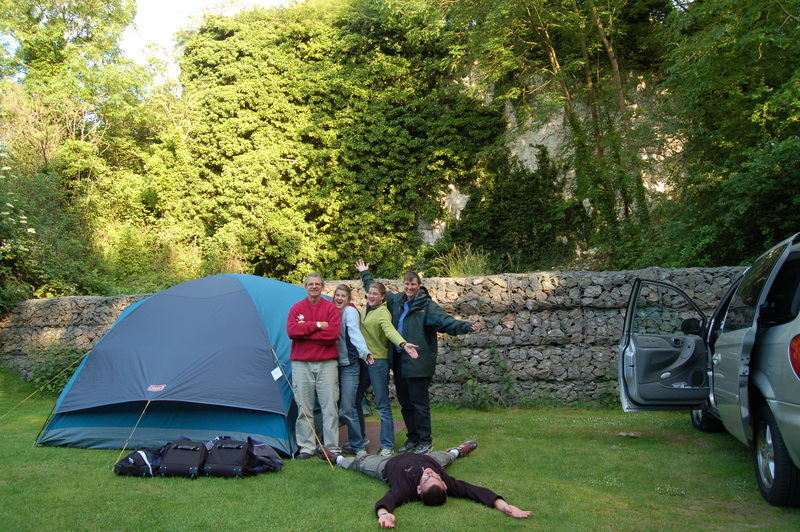 We set up the tent for the last time and woke up in the morning ready to go to London to visit the Queen! 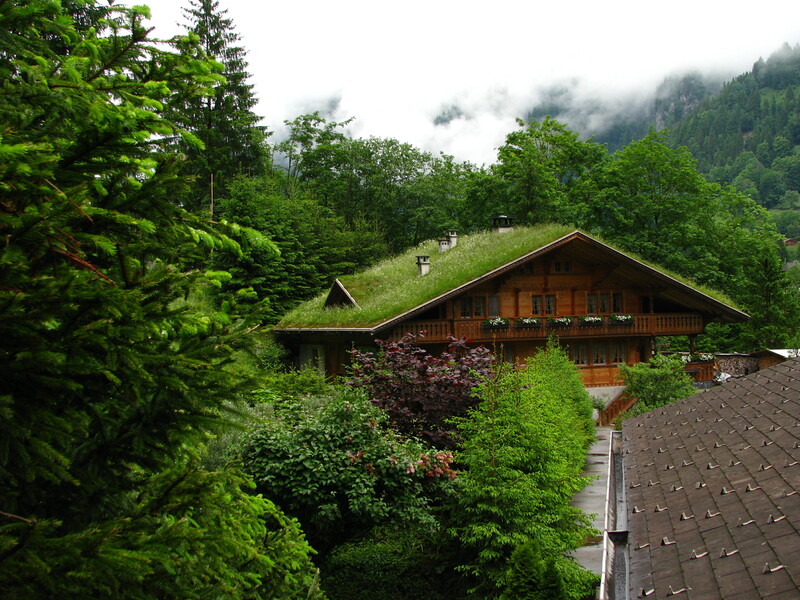 These homes in Lauterbrunnen would be considered chalets. 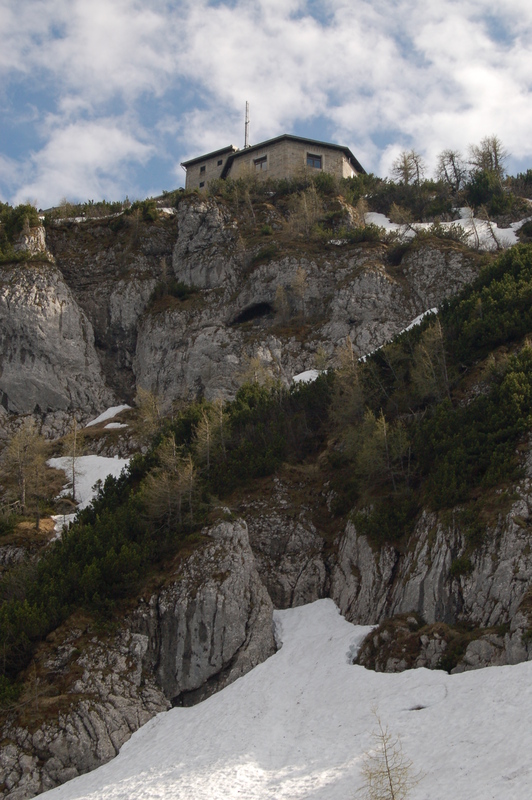 This is where we hiked in the clouds, unfortunately we never got to see the solid, snow white alps, but it saved us the agony of deciding whether or not to spend a small fortune riding a cog train up to, and inside the Eiger. 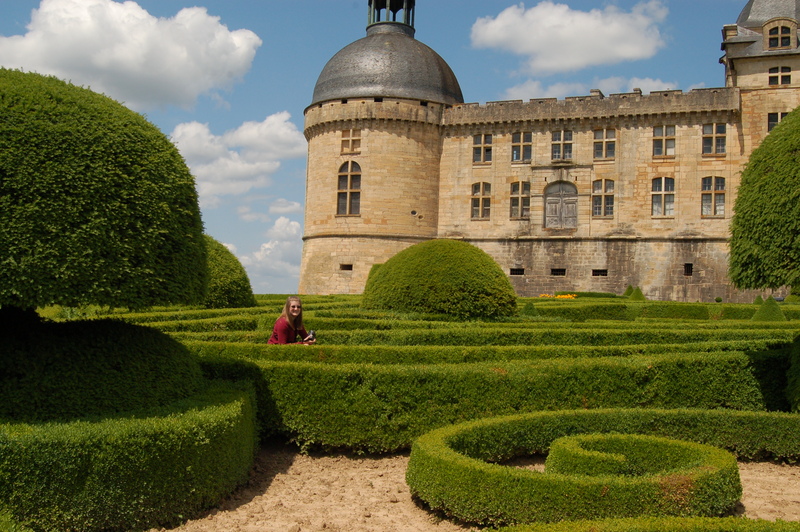 Chateau de Hautefort (oh-two-four) in France was one of our favorites. 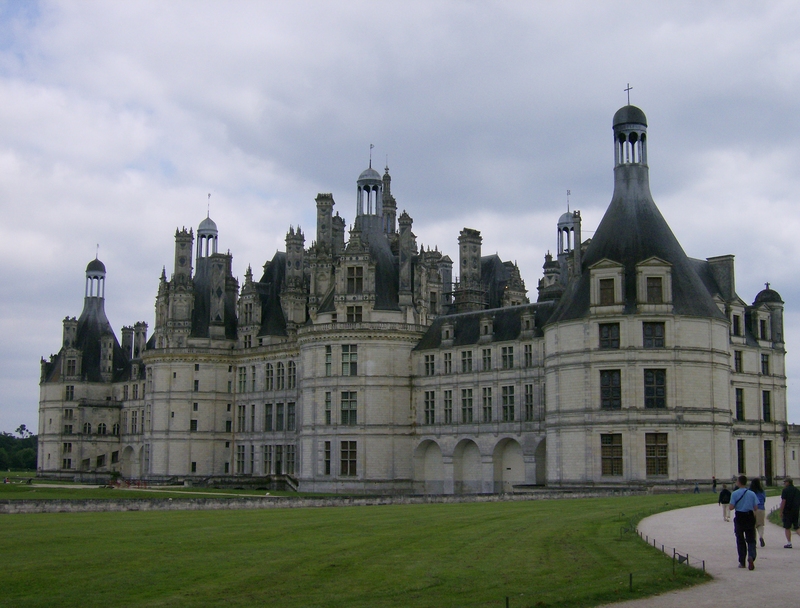 It was a chosen destination because we saw it in the movie “Ever After”. 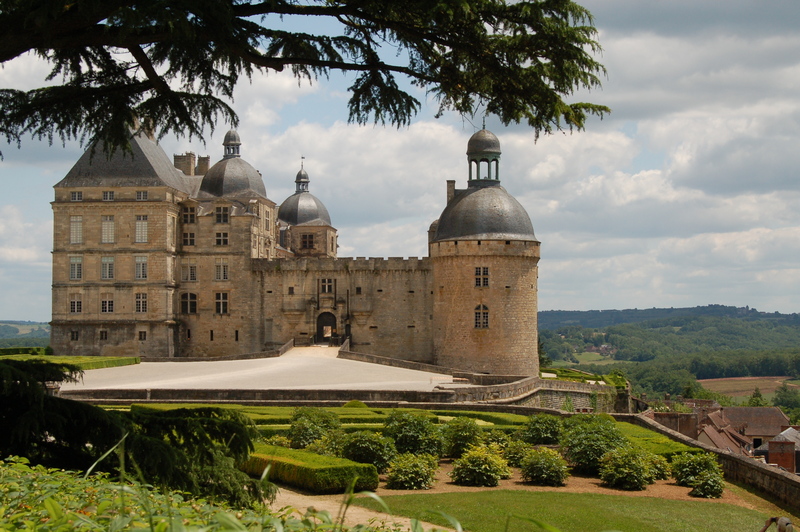 The ‘castle’ and its grounds are actually all at this one site, not an edited conglomeration of many sites. 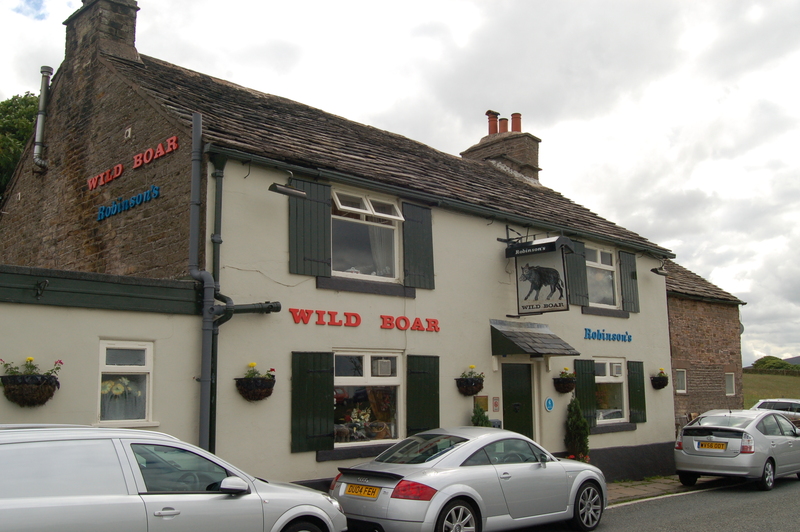 The town and surrounding countryside are equally enchanting. The gray roofing is made of 1/4 inch or 1/2 in. slate! Can you imagine how HEAVY they are? 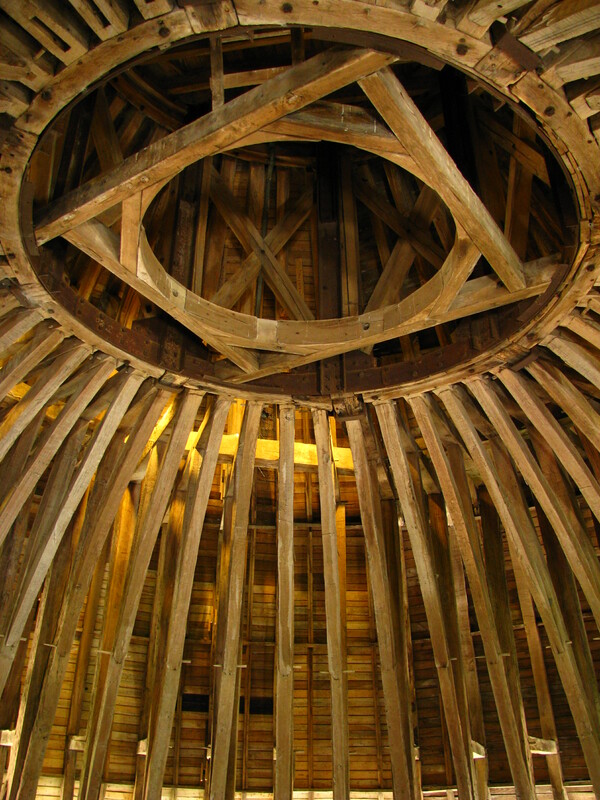 The wooden supports are made of beams that are at least 8×8 inches. 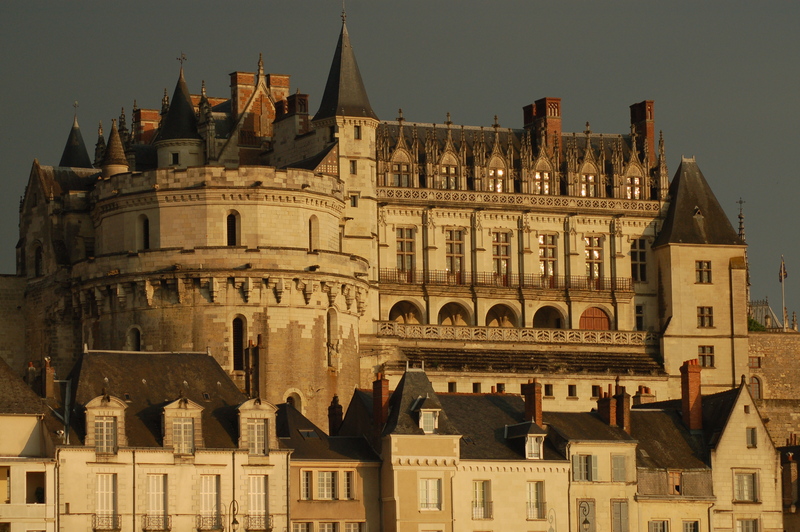 By traveling the way we did (semi-planned) many days provided completely delightful surprises like going into Perigeau to find an ATM, and finding an incredibly cool, cobblestoned, old town… the previous capital of the region. 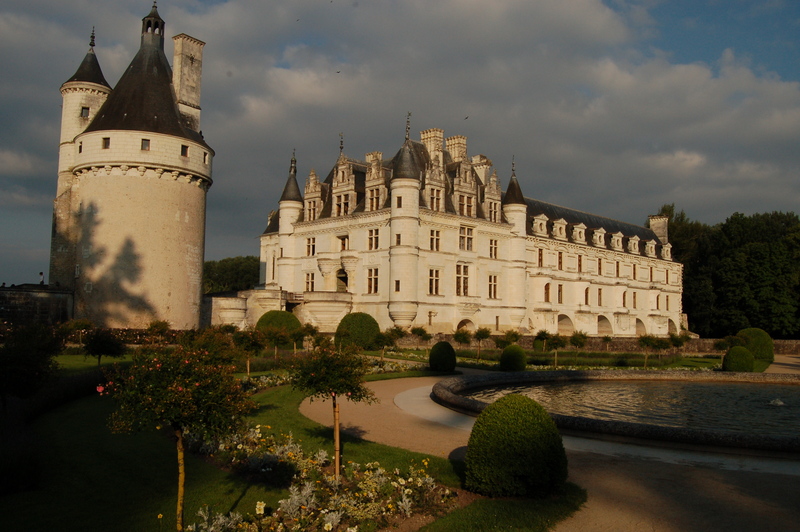 Chateau de Chenonceau in the Amboise region was one of several chateaux (plural form) in the area. 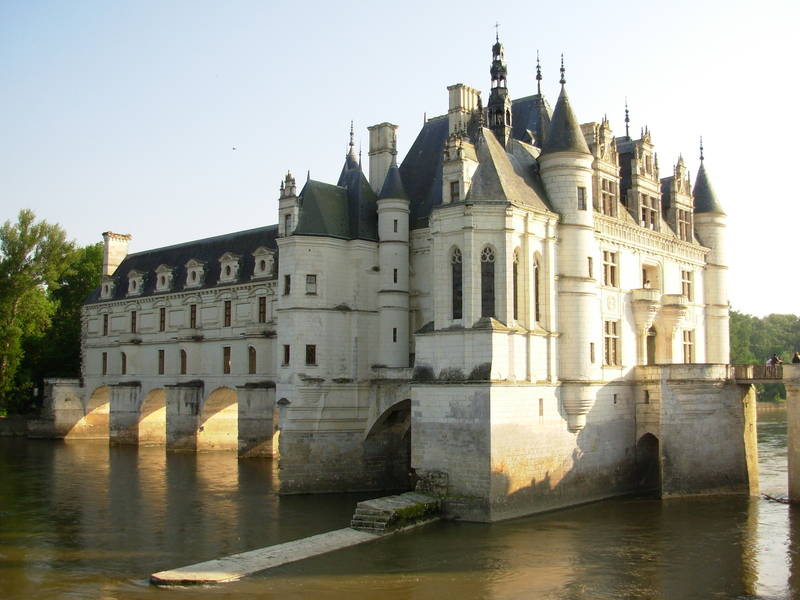 It is remarkable in that it is built across a river. Like being saturated with artistic beauty in the Vatican, we found ourselves wanting to see all the chateuax, but getting saturated with architectural beauty. 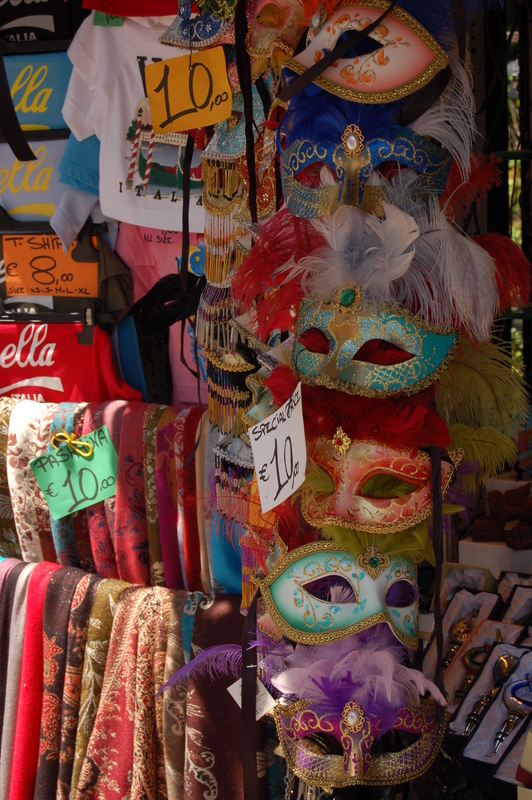 We did spend a morning in the open-air market in Amboise. This is about the closest we got to ‘shopping’ in Europe. 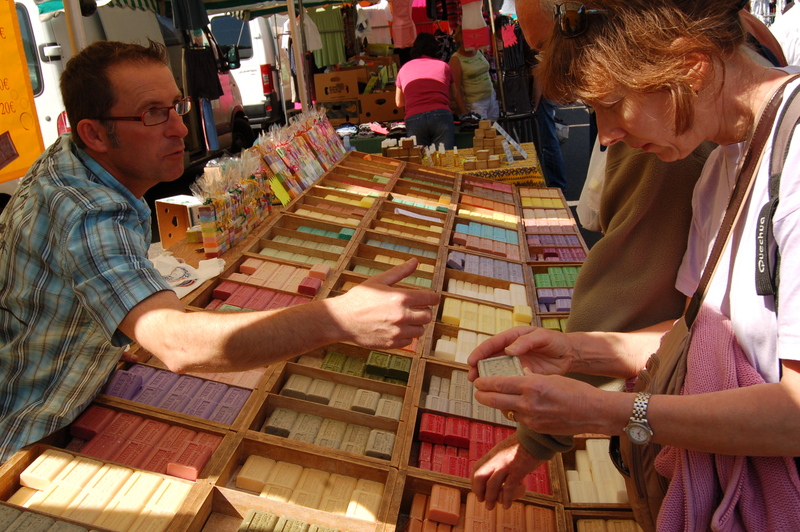 Betsy and I had fun smelling virtually every scent of soap at this stand. It wasn’t just the sights that were charming, it was the countryside between places. I think the only region we didn’t particularly care for was just south of the Italian alps, coming into the flat ?delta? region leading to Venice. 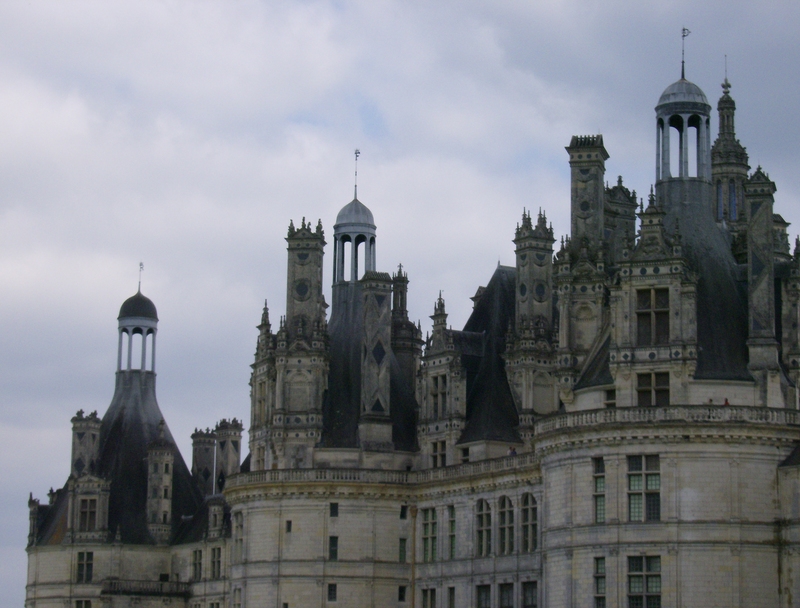 Chateau de Chambord with 440 rooms, over 350 chimneys, and 14 staircases, including da Vinci’s dually entwined staircase, started out as a hunting lodge. Quite a lodge! It was hard not to think of the financial source of the opulence. Like most great government edifices… it’s the common people like you and me that foot the bill eventually, but they sure are beautiful. On this set of staircases one person could be going up, seeing someone on the other staircase, yet never pass them shoulder to shoulder. 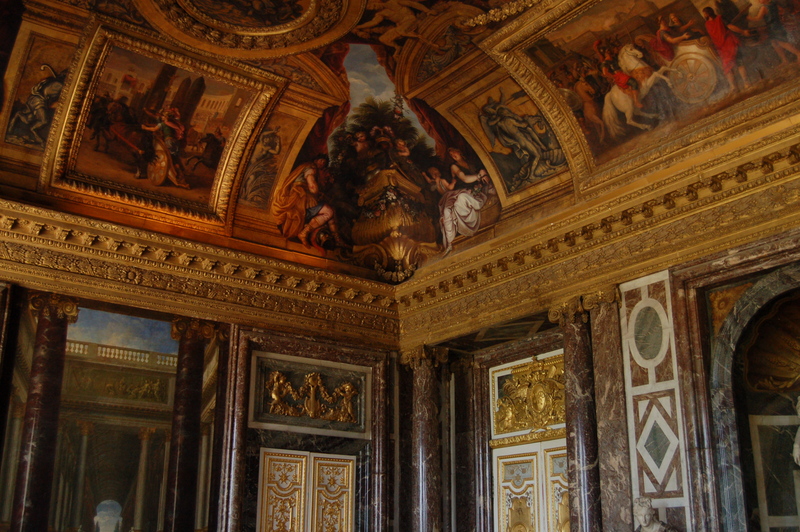 Chateau de Versailles was the most extravagant palace we saw. 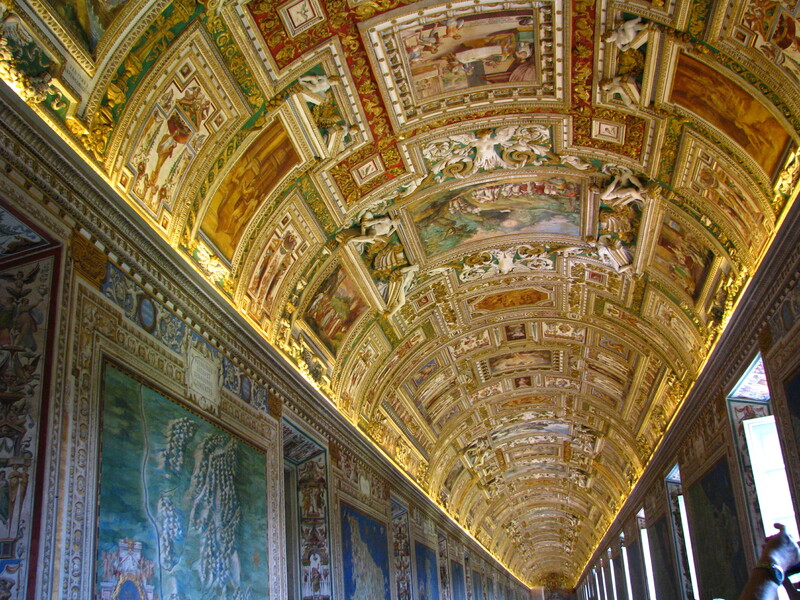 In its artistry it was similar to the Vatican Museum. I have come to understand that Europe is full of places like this. 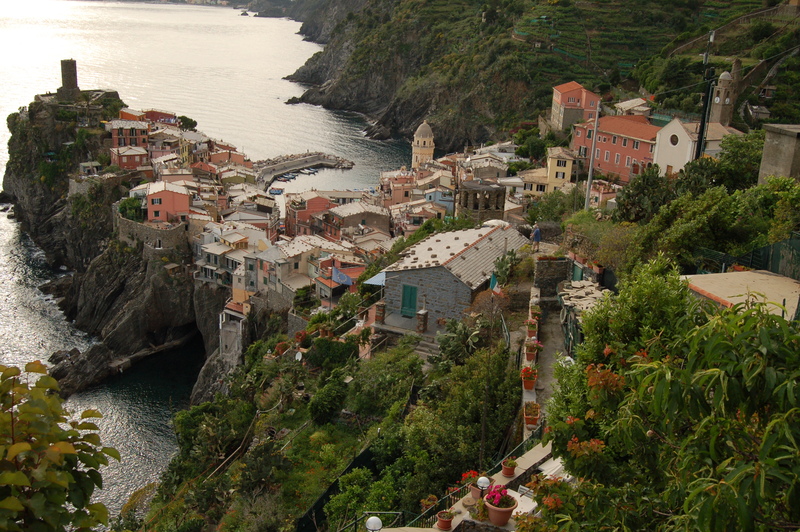 We just barely scratched the surface… never even getting to places like Munich, Vienna, Prague, and Florence. 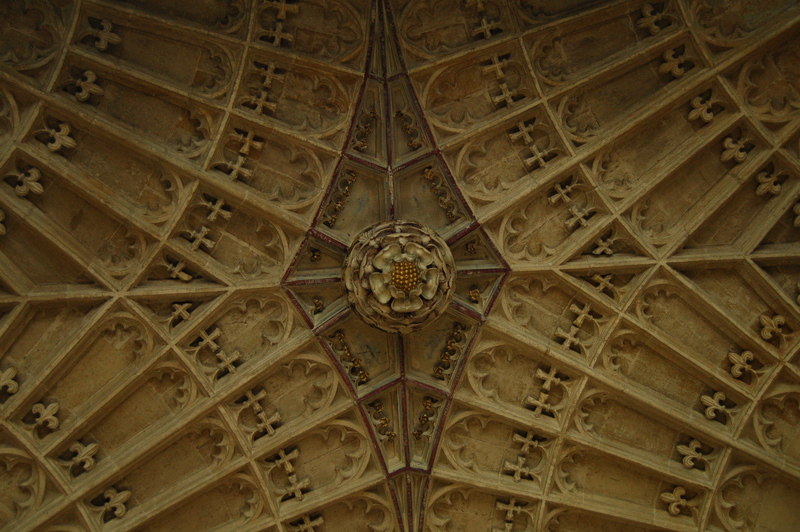 Note the gold work that surrounds each ‘painting’ like a frame; the varied types of marble forming the geometric designs, the alcove, and the columns; and the paintings themselves. 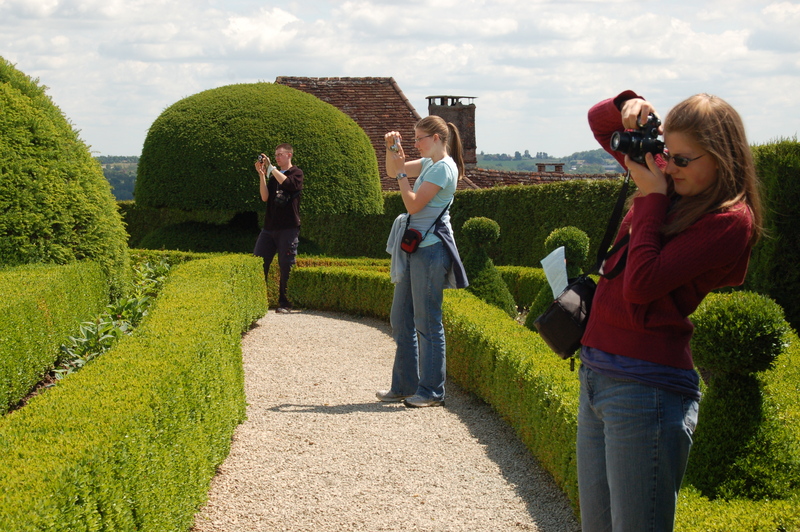 At the beginning of the trip we had discussions about whether or not to take photos of the ‘immodest’ art. Some of us said, “Yes! 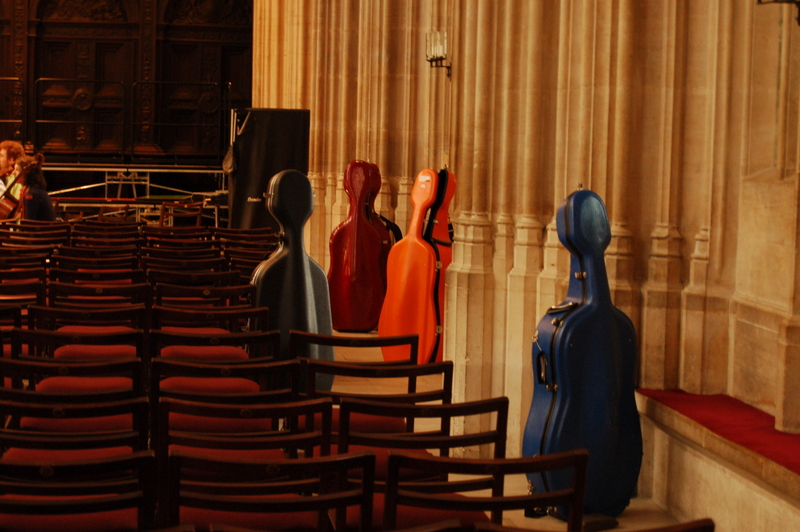 the artistry is incredible!,” others felt it was best to take discreet photos, and when unable to do so, don’t take a photo. 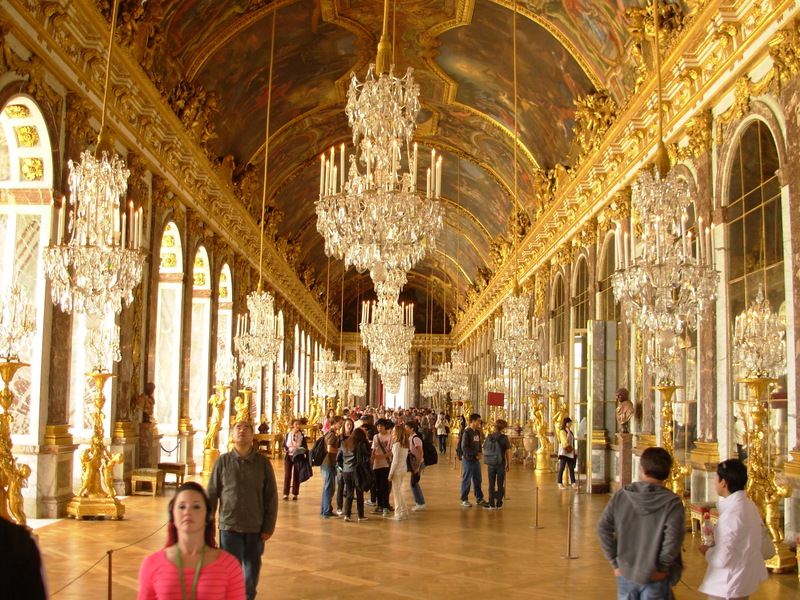 This hall was lined with mirrors, making it light and appear even larger than it already was. In seeing the main palace, we only saw a small portion of the site, and perhaps, not the most beautiful. 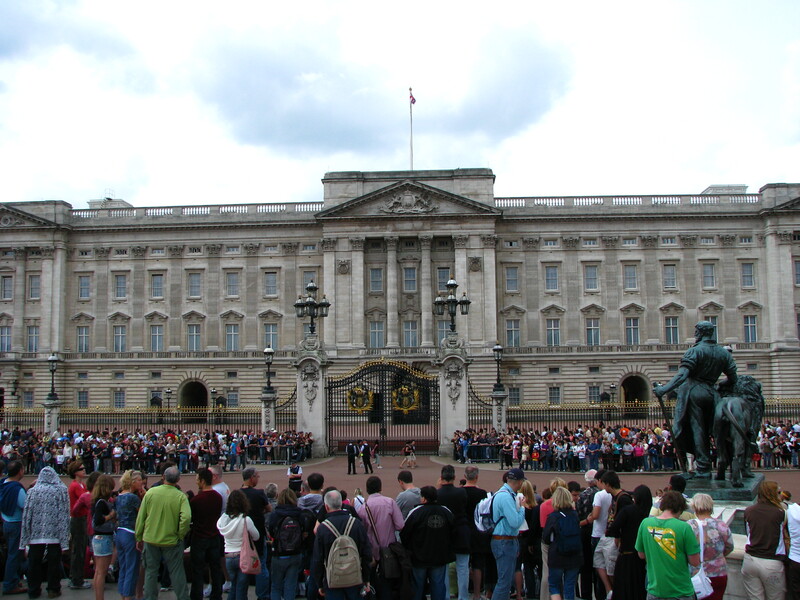 I understand (from Google) the queen’s buildings are a sight to be seen… perhaps the next time. Such was our trip, a samplers hors d’oeuvre of Europe, a little bit of a lot. 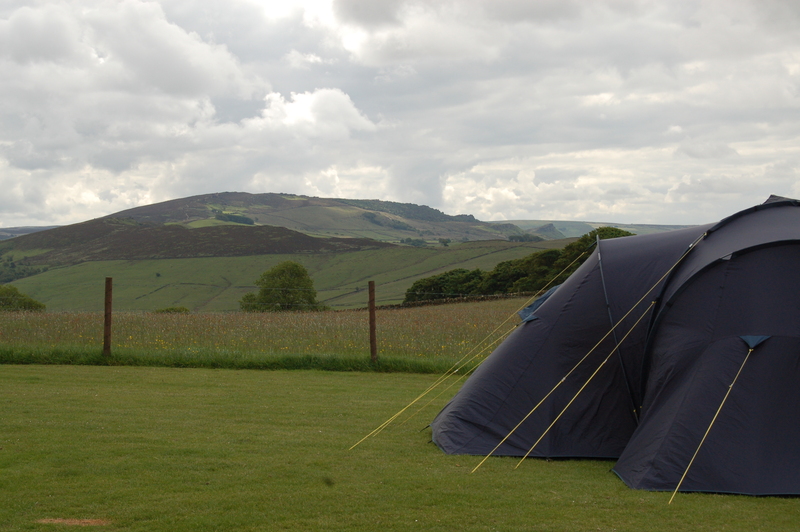 None of the above should be confused with our humble lodgings… a TENT! This was our last site in Cambridge, UK. Wow, what an adventure. Priceless. 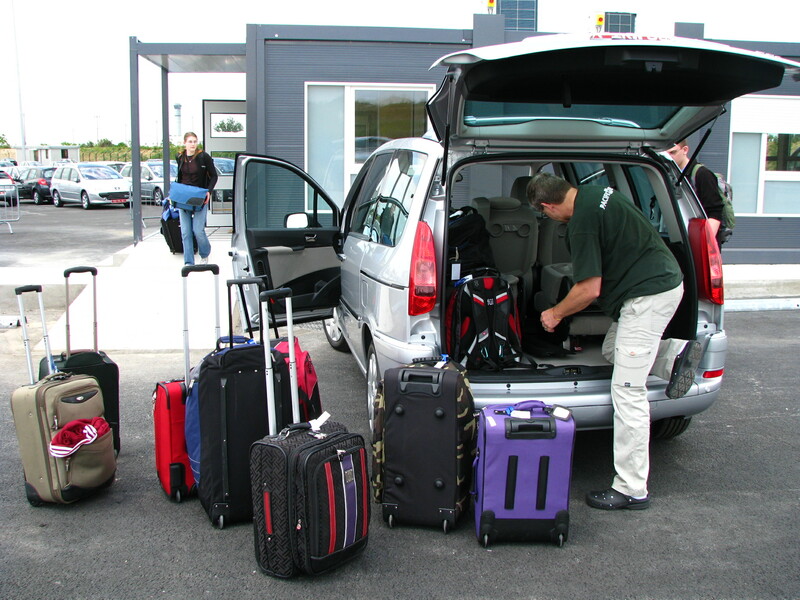 On the 18th, we dropped off the rental car and we were shuttled to the airport. Our flight was delayed 2 hours, which was nice, because we’d only have a 2 hour layover in Houston now. Flew out around 13:15 (All of Europe and the UK use military time… Jordan loved it) and spent the 9 hour flight taking advantage of the 350 movie repertoire. : ) Oh yeah! I think Jordan watched the most… 4 movies. Yeah, we were tired… It was a nice time killer though. 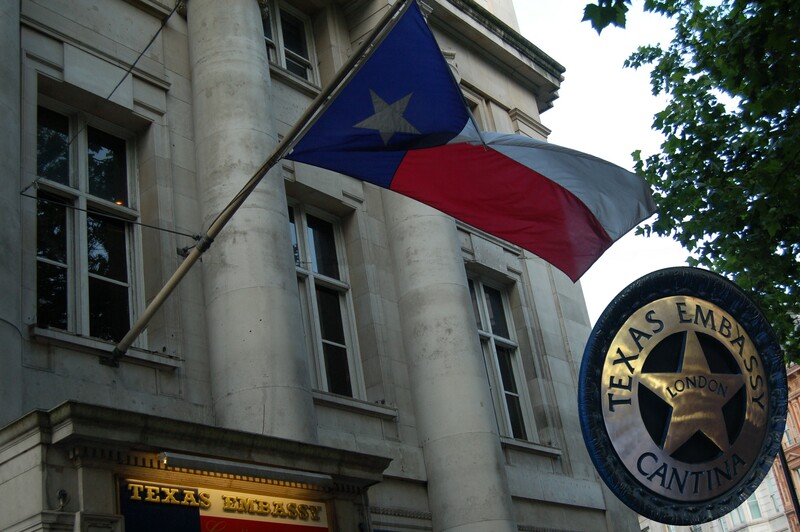 Landed in Houston around 5pm their time (11pm London time) and persuaded our brains that it was only that time. : ) Then, boarded our last plane. The 5 hour flight wasn’t so bad either. We talked with a nice gentleman for a while and took naps. 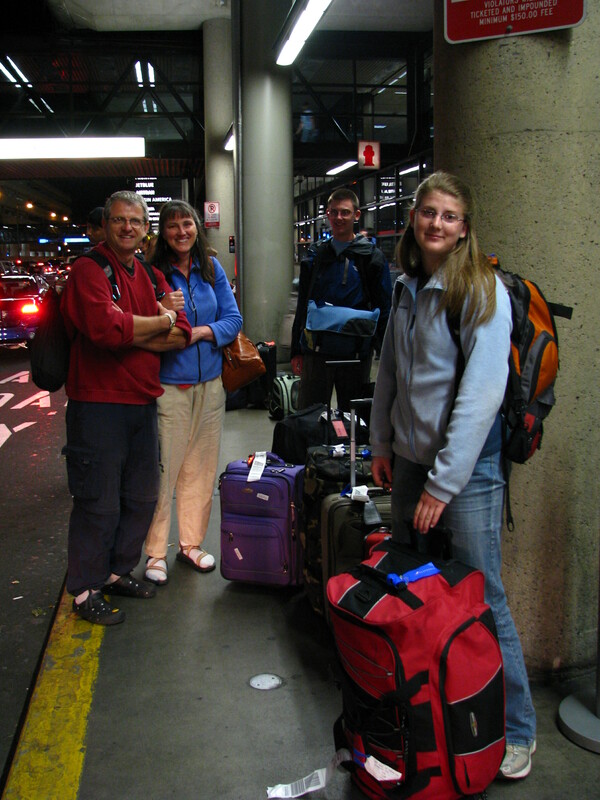 Arrived in Seatac at 10:15pm (6:15am London time… ouch!) and all ten bags were collected! 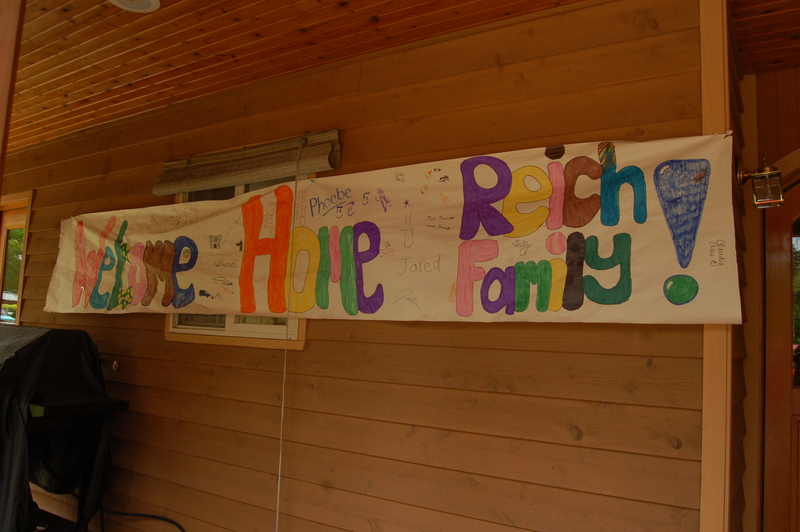 We were welcomed by an exquisite Welcome Home sign, beautiful flowers, fruit, and sweet notes. Thanks! It was really nice of you! We’ll catch you up later! This is quite an adventure writing to you… the keyboard here at the Huttopia campground office is not like US keyboards. The “a” is on the upper left row, the “m” is on the middle row and the “w” is on the bottom row!!! Ha! It is actually quite fun. I have to shift to make a period at the end of my sentences! 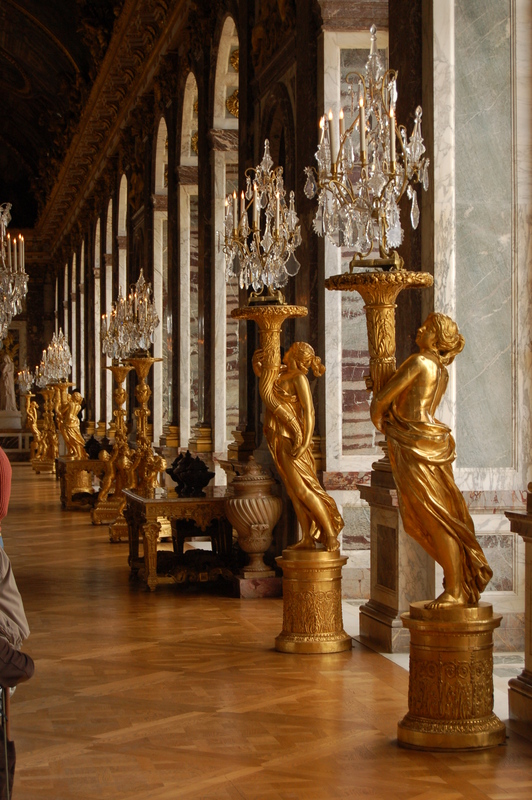 So, we are in Versailles again, looping back to tour Paris and Versailles. 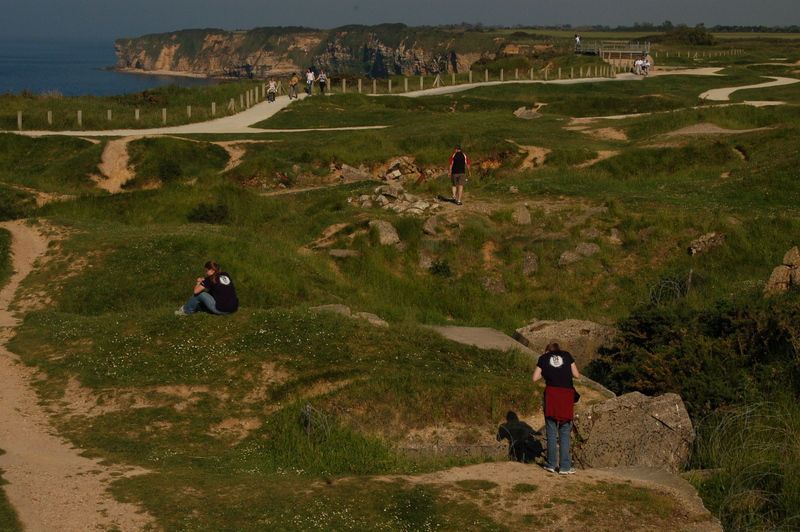 We walked Omaha beach yesterday and the Normandy Cemetery and Memorial for D-day. It was very well done. So many men died in just one day. Sorry, for the life of me I cannot find an apostrophy for all of my contractions. Well, our trip is coming to an end soon. 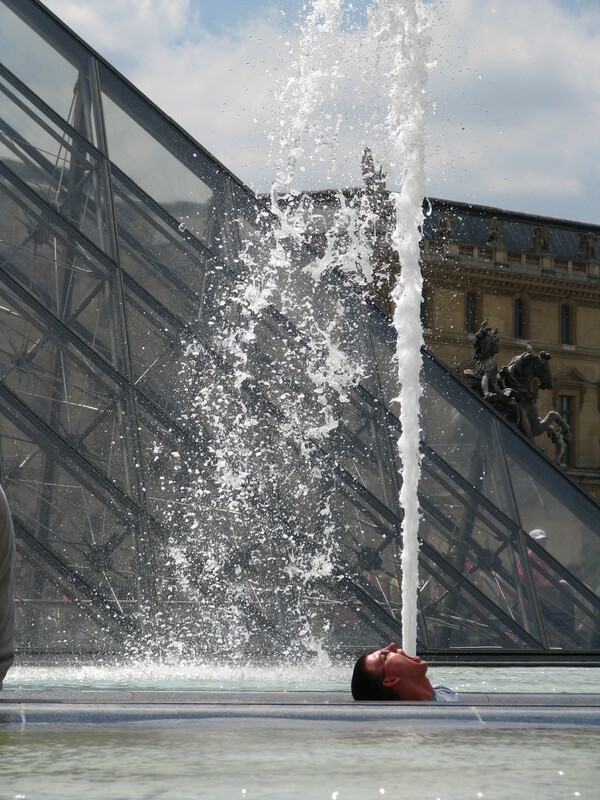 After 3 days in Paris and 4 days in Britian, we will be back June 18th . Paris, of course, was AN EXPERIENCE! 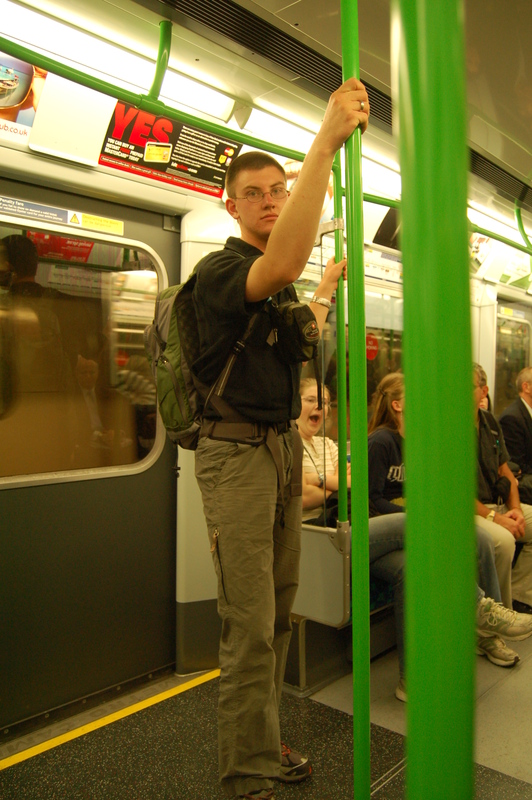 Again, we camped outside the city and took the public transport into town. 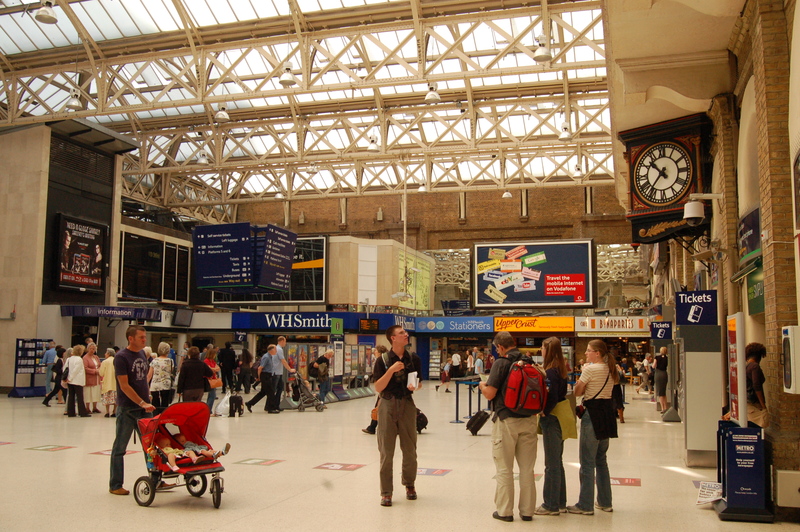 (Most campgrounds outside the major cities have easy access to public transport, so you leave your car and never worry about driving, parking, or vandalism with all your stuff in the car.) 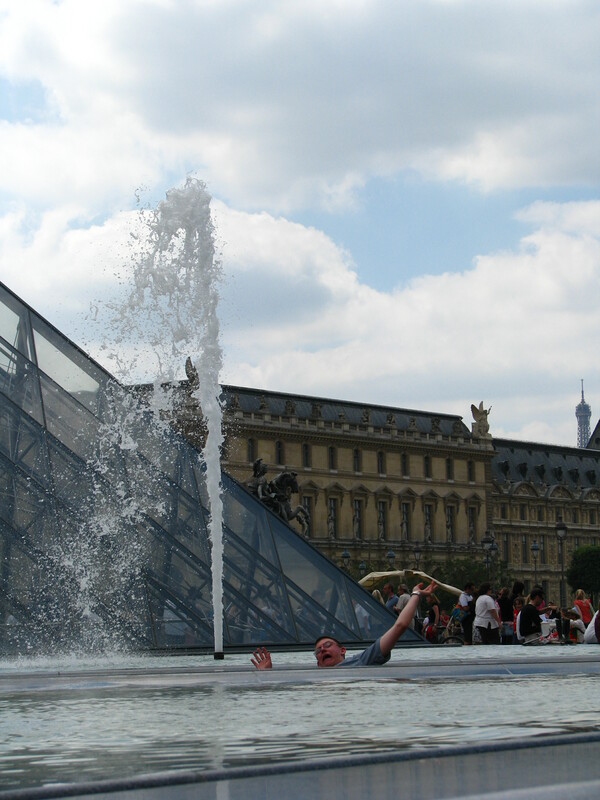 The Louvre was our first spot to hit. Oh man, you could spend a week there at least! The building was once a palace (surprised?) but is now a museum, so again, the architecture and its embelleshments are enough to see in themselves, let alone all the art it houses. 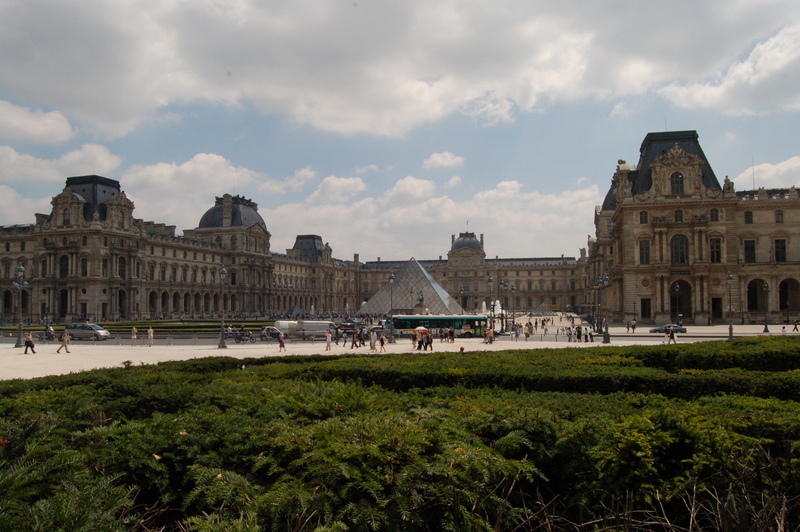 The museum is a u-shaped building surrounding the famous glass pyramid. As you can see, it’s HUGE! Lunch was, once again, eaten in the finest sidewalk cafe in the area. 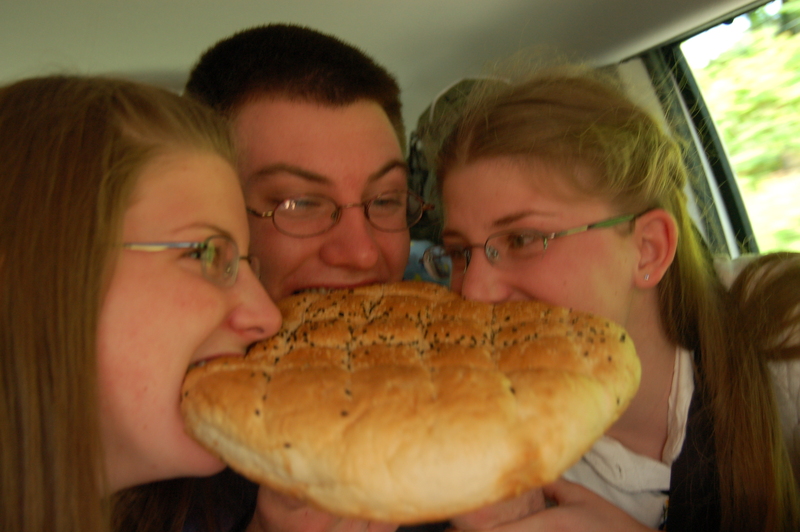 Our fare?… the familiar meat and cheese (or just cheese) sandwich on whatever bread we could find. One day Jordan bought a baguette of bread just so he could walk around with one hanging out of his backpack… his version of what the French people do. Jordan and Betsy took advantage of the sidewalk between fountain pools to have some fun. These shots are not edited or photoshopped at all. Jordan has quite the sense of humor. 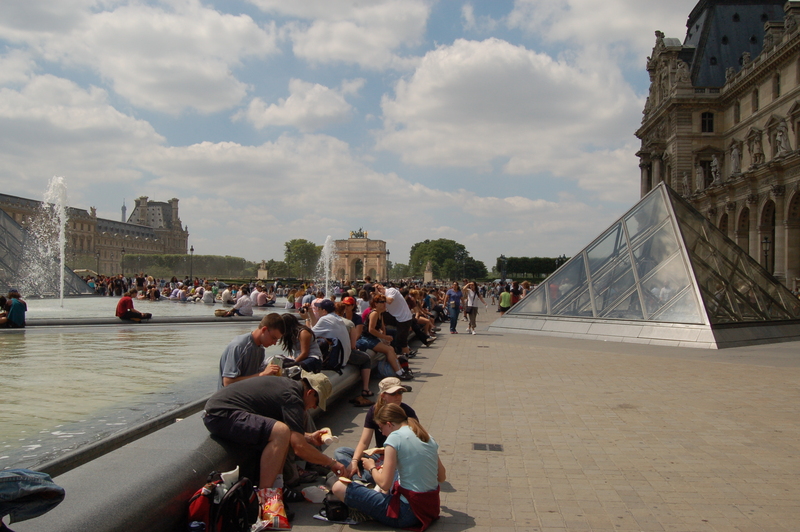 The glass pyramid you see in our lunch photo is not the main one that is usually shown with respect to the Louvre. This little pyramid is one of two that flank the big one seen in Jordan’s fountain photos. 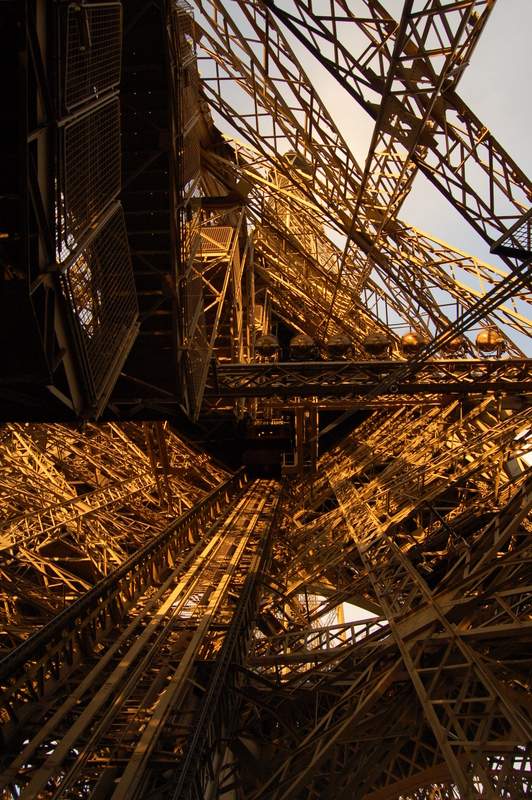 The Eiffel Tower was BIG and intricately woven. We decided to go up into it, yes, as far as we could go. 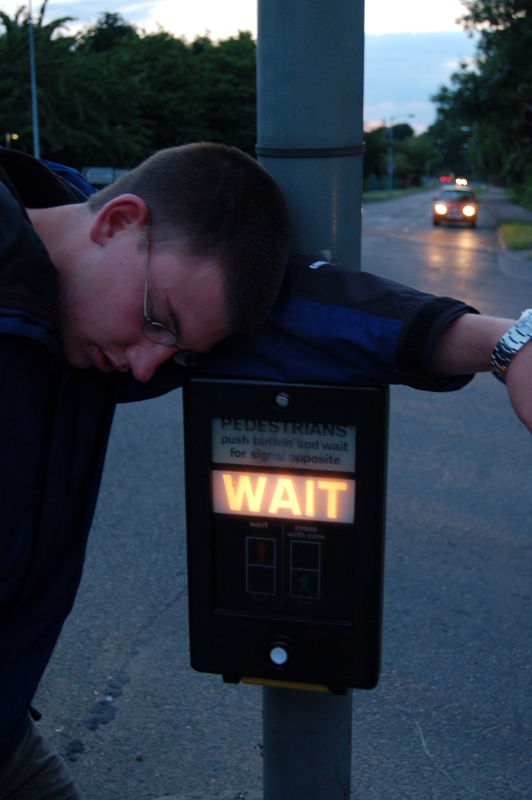 This was just about the only wait-in-line experience we had. Traveling BEFORE the peak season was definitely worth it. Italy wasn’t too hot, the crowds weren’t large… but it did rain in Switzerland. After the Lovre, we thought we had seen enough art, so we were just going to blast through the Orsay to get to the impressionist paintings. 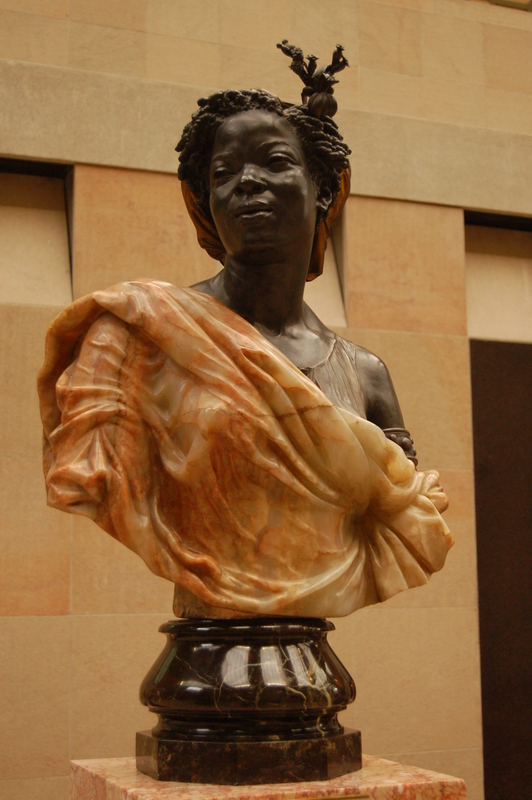 Oops, Jordan and I got caught in the entry with its beautiful statuary. Again, the architecture was a treat in itself. As far as Paris goes, we found the traffic flow around the Arch of Triumph most fascinating. If you’ll notice, there is only ONE line painted on the asphalt. The way the drivers negotiate the circle is truly a dance to behold. 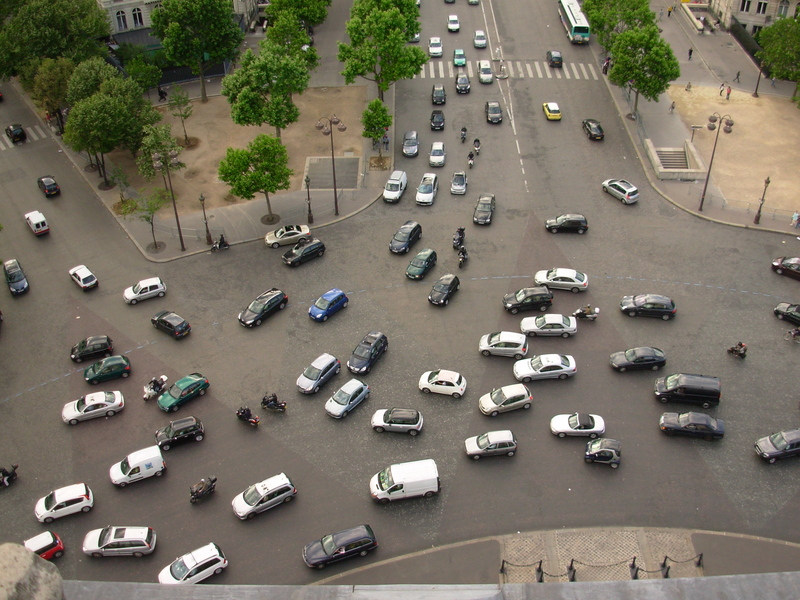 Just remember as you look at the photo… these cars, for the most part, are moving! See if you can tell which ways they are going. P.S. Ruth-Betsy is absolutely loving her new camera… speaking of pictures, we have 10,000!… and we filled up Jordans laptops hard drive and will have to back up the rest of our pics on CDs and the external we have. Sarah- At first? we ordered blind on menus… quite an adventure sometimes. John ordered “Sepia” and it turned out to be squid! A chalet is a fancy mansion. 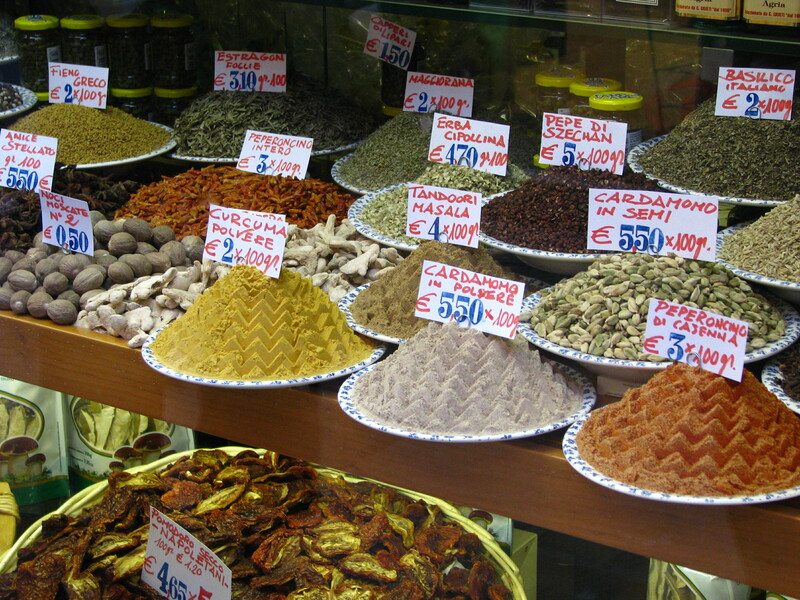 We left off at Venice … our next stop was San Marino, one of the smallest countries in the world! We were able to walk around it at night and see the inside the next day. You could take pictures the whole time, wow! They had a really cool and extensive weapons display. 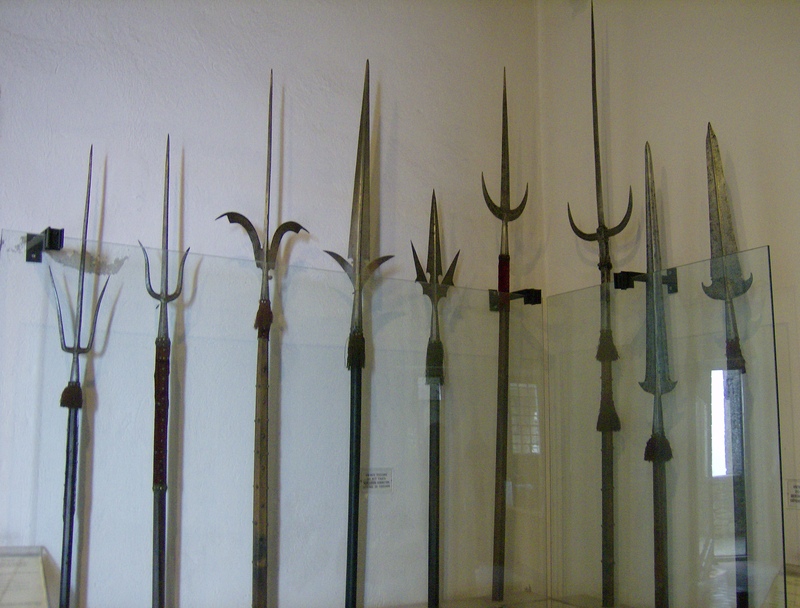 There were A LOT very pointy things that are meant to do great damage to bodies. The fortress had no ropes and no rules (refreshing!). People just behave, controlling themselves. Rome was incredibly cool. There are no words to describe how fantastic the carved statues, ceiling paintings, and wall paintings are, not to mention the architecture itself. Even I can see how good the artristry is. By the time we got to the Sistine Chapel at the end of the 1/4 mile Vatican museum (multiple levels), we were supersaturated with the beauty. 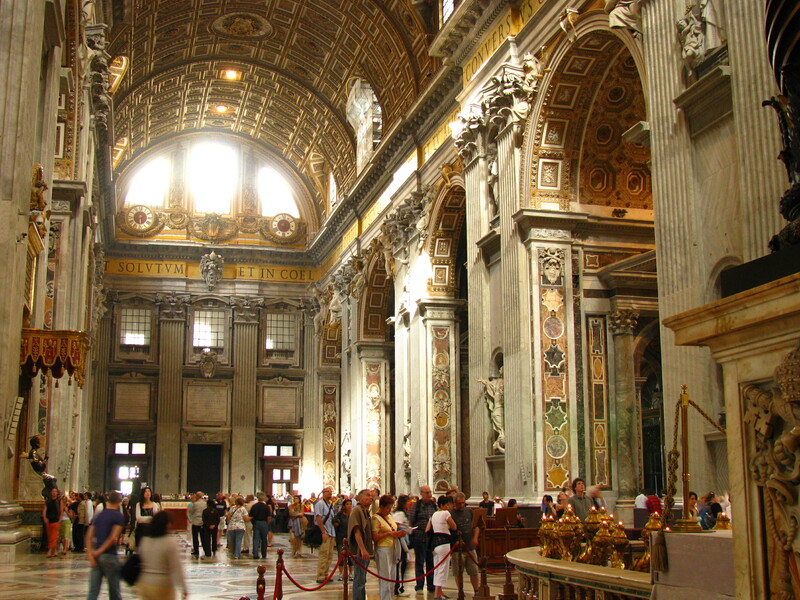 St. Peter’s basilica was another fantastic sight. It is the largest dome of its kind in the world. And the view from the dome is remarkable. So many things are so very old. Getting up into the dome is a treat. 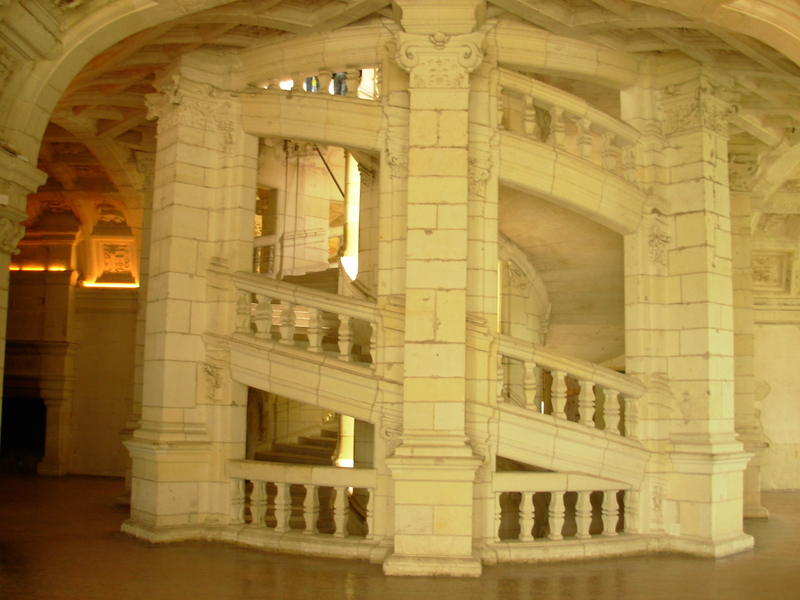 You go up hundreds (literally) of stairs in an ever decreasingly narrow stairway, that starts to lean inwards as it encircles the dome itself. The final tiny spiral stairway is only as wide as Jordan’s shoulders (or my hips). The Colosseum in Rome wasn’t as big on the inside as we thought it would be, but it was still something to be seen and to experience. It’s really strange, there are columns and their capitals just laying around everywhere… just another something to sit on when your feet get sore. One of my favorites: Trevi fountain at night. 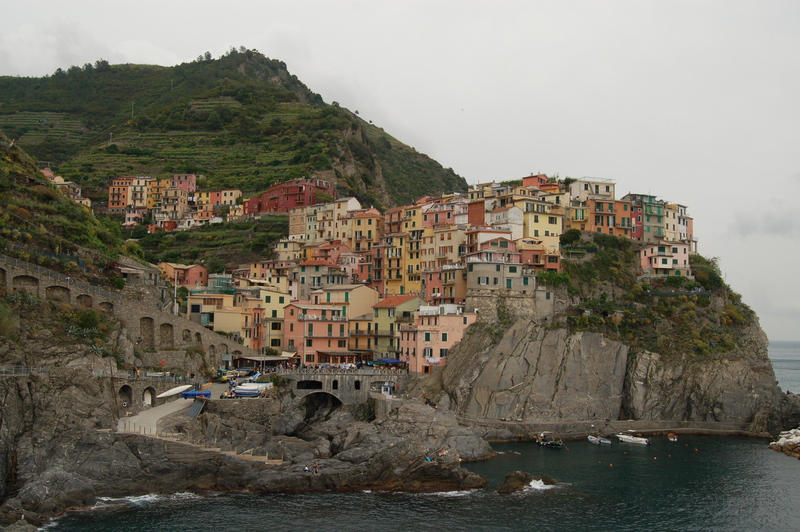 Our next stop was the Cinque Terre National Park, a favorite destination for many travelers, 5 towns that can only be accessed via train (in tunnels under the countryside) or by trails that have been there for 100’s of years. 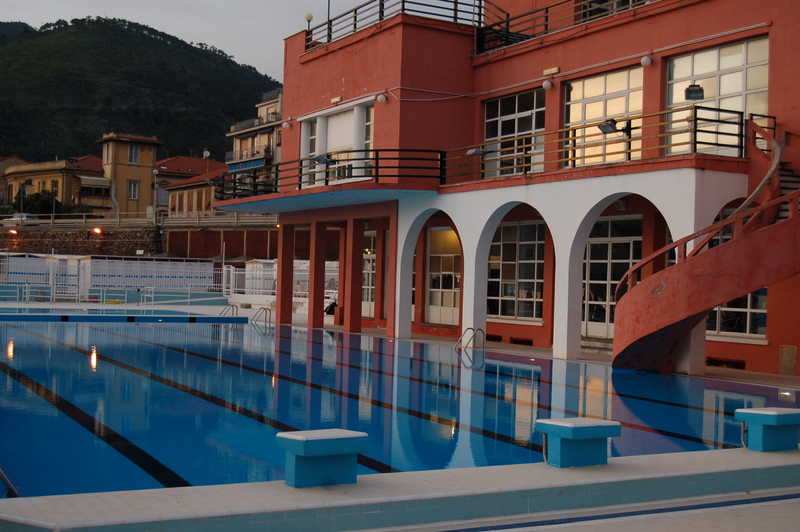 The evening in Levanto was exquisite as the town celebrated Italy’s equivalent to the USA July 4th. There were bands playing everywhere: jazz, men’s chorale, and there was even a wooden dance floor where all kinds of people were dancing… there was a waltz, tango, cha-cha, and salsa. While we were watching the jazz band, a snail decided to hitch a ride on Molly’s sandal… until she felt something cold & wet! 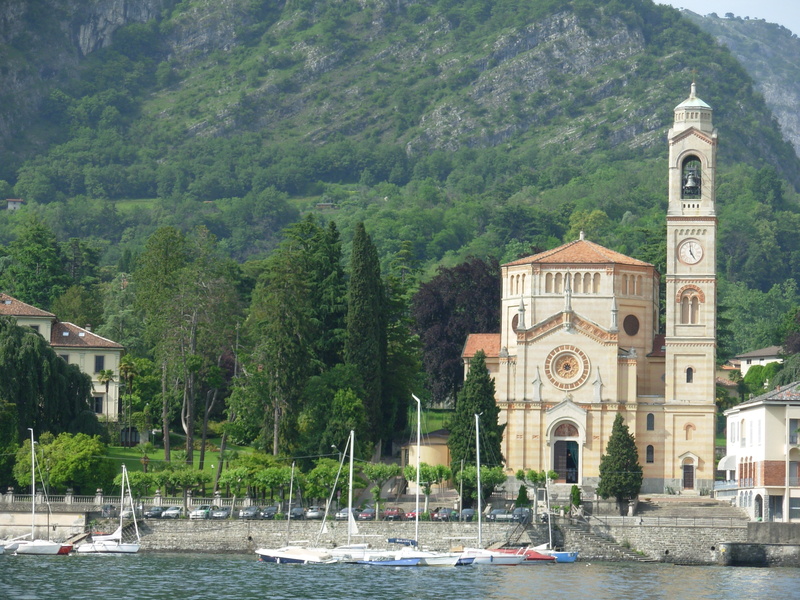 Lake Como was another delight as we took the ferry from Mennaggio to see the lakeside towns and villas… such as George Clooney’s villa that is seen in Ocean’s 11and Star Wars (we only got a peek, as the ferry didn’t go by that one). 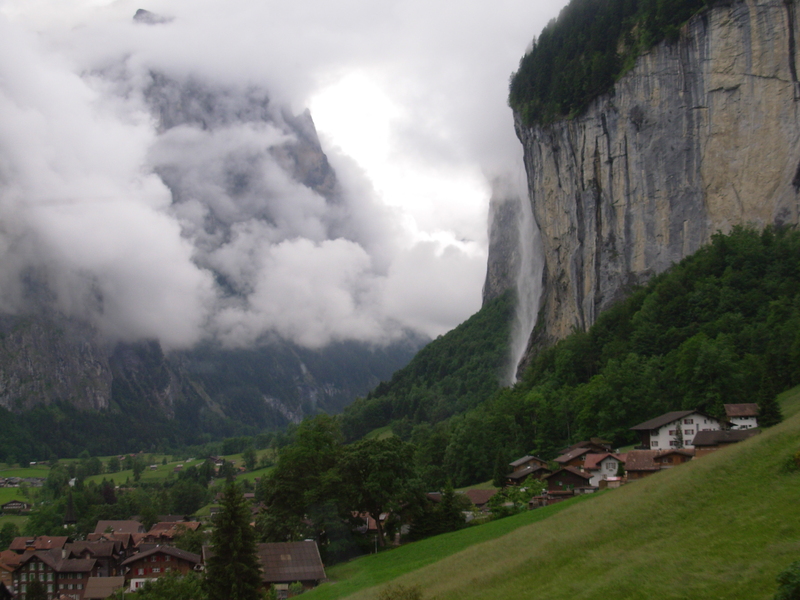 Right now we’re in Lauterbrunnen, Switzerland … it’s just like Yosemite Valley, very beautiful! 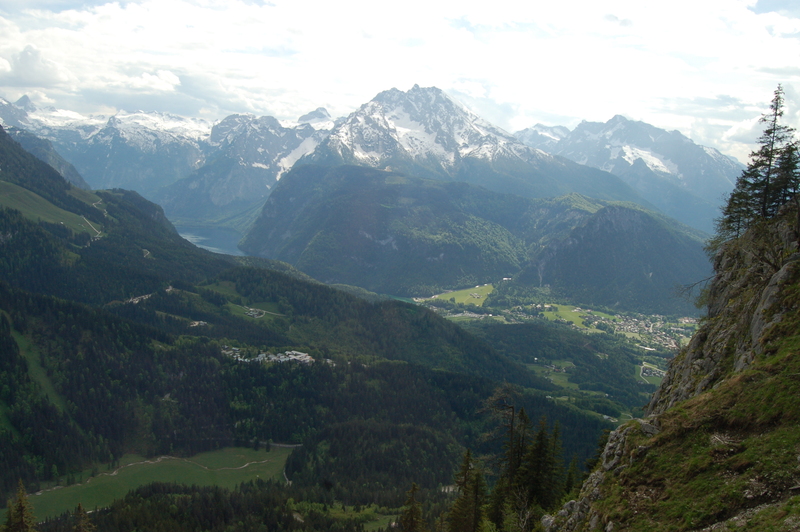 So we’re in the Swiss Alps, which we hiked around in this morning. We were up so high we got to walk in the clouds! It reminded me of Hurricane Ridge in many ways; there were wild flowers flourishing on the hillside and adorable chalets here and there. Oh, my time is running out … Love you all, bye! P.S. 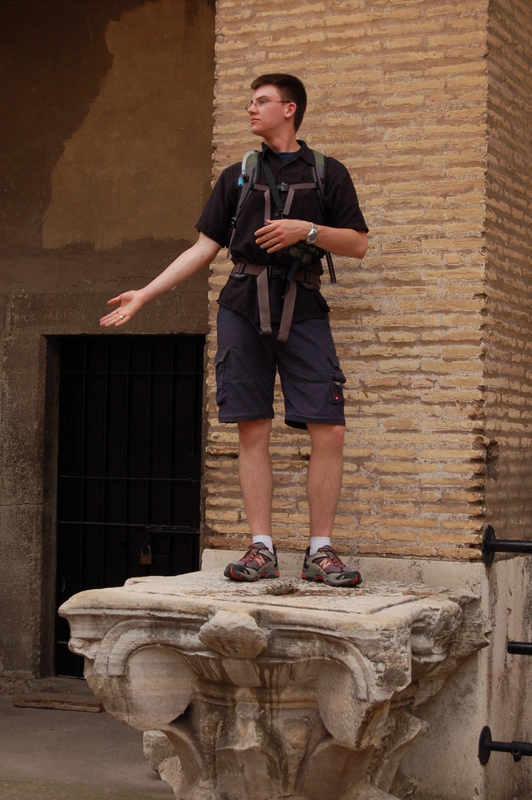 Beware of tacky ‘Roman centurions’ who are very willing to pose with you for a photo… for a small fee! Sorry this comes in such a large chunk, but we haven’t been able to connect til now. Personal note to Tiffany… shopping in the mall during our 12 hr. 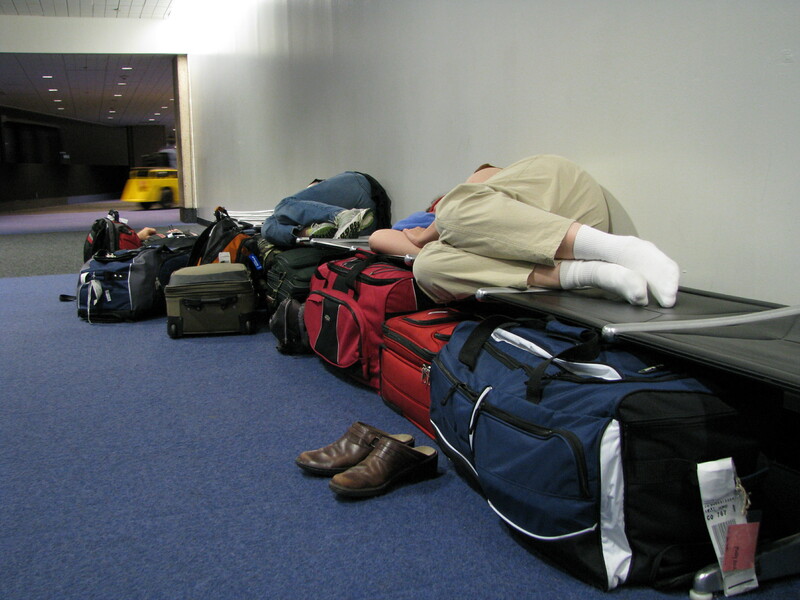 layover in Texas was a hot tip!… once we found a quiet corner to sleep in for a little while, after flying all night. The 2nd leg of our trip to Paris was interesting in that we left Houston at 6pm (light out), flew into the night, and then (unfortunately Maggie was still awake with Molly) to see us fly into the dawn… never done that before! 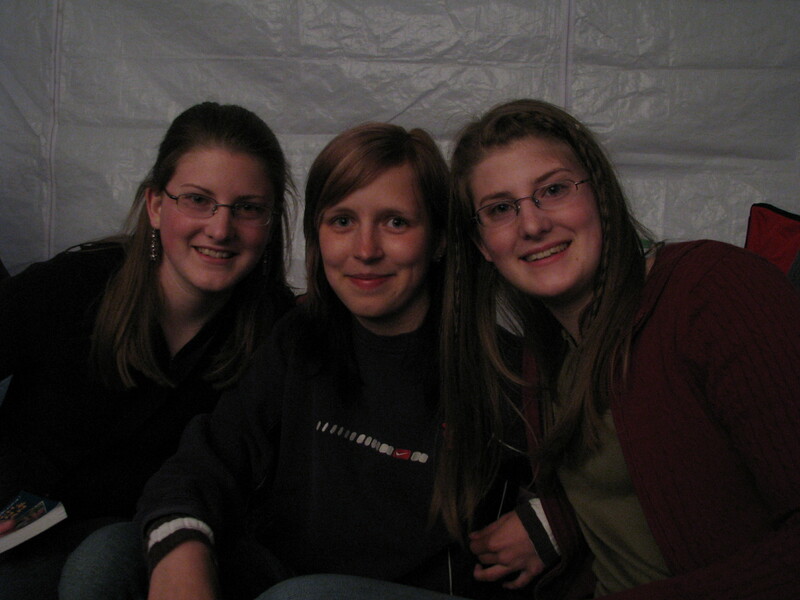 I’m SOOOO glad we don’t have reservations anywhere… things change so much. But then, if we had reservations, maybe we’d know more. 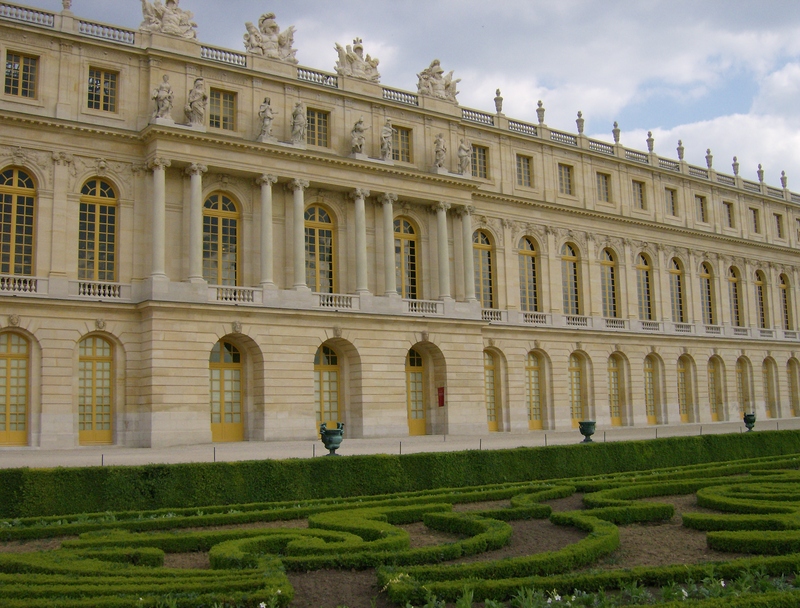 The strike in Versailles meant that the Versailles Palace was to be closed the day we were to tour it. On top of that the public transportation into Paris was stalled by a strike on the same day, so that meant we couldn’t really go into Paris! So we just bumped our itinerary up a couple of days and will double back at the end of our trip. We arrived in Paris realizing that I’d forgotten to find out how to connect with the car leasing people when we changed our pickup to Charles de Gaulle airport. That was a bit tricky on our first day in a foreign speaking land. Obviously, we managed. The only time people weren’t too friendly was when we picked up the car in Paris. “Bonjour” was about all we got out of them. They barely showed us how to shift gears (didn’t show John to pull up on a little collar on the stick shift in order to get into reverse), handed us the owners’ manual (which is French) and gave us the keys. 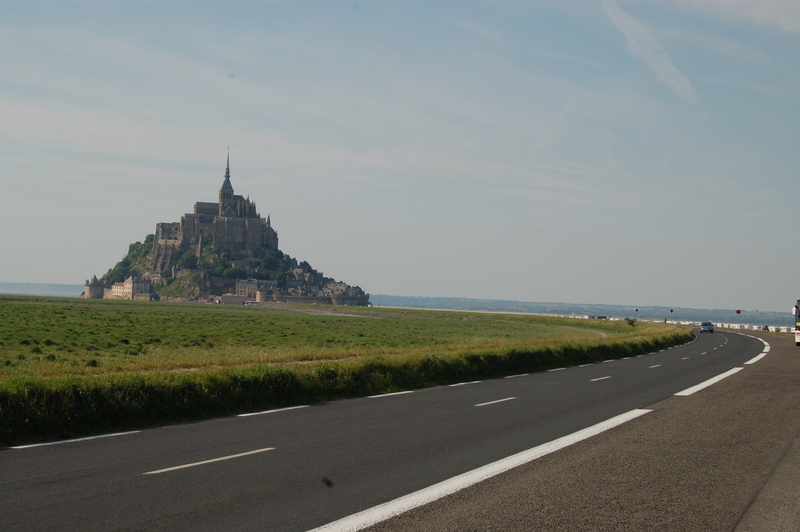 Our GPS got us out of Paris towards Versailles, but we found ourselves going round & round one construction site 6 times! That’s when good old fashioned maps come in really handy. We finally found our way out after some construction workers greeted us with a cheery, “Hello!”… obviously they figured out we were lost Americans. We found our first campsite after almost going down a few one way streets, which were, by the way, extremely narrow, lined closely by old buildings. We noticed, to our dismay, a few cars with munched-in car doors that were scraped rather badly… did they pass someone too closely? 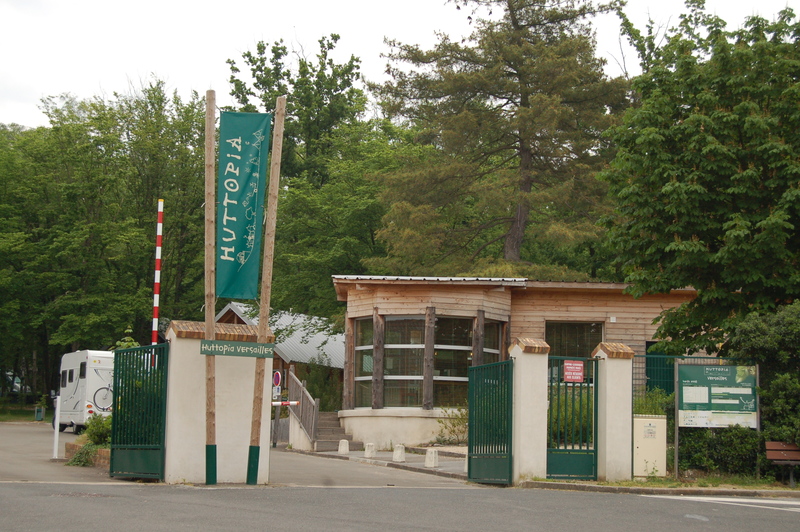 The camp hosts were very friendly, fantastic, and spoke great English!… which made up for the rather stressed Paris car lease folks. 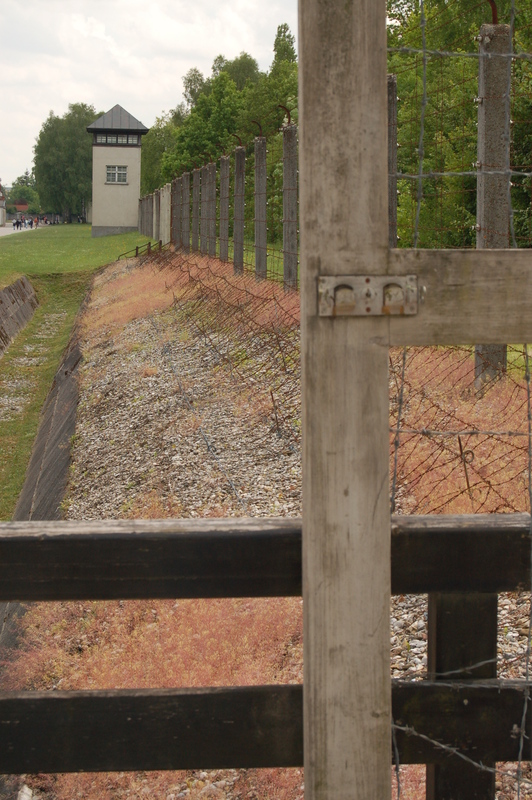 Since Versailles & Paris transport were closed, we headed off to Dachau, Germany. Along the way we discovered that it was a GOOD thing to be on the open road where few decisions had to be made. 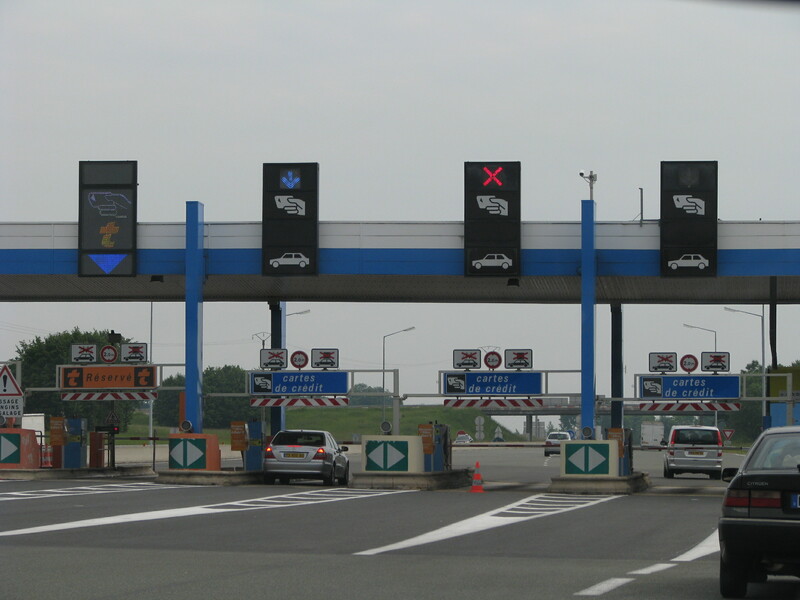 The only thing we needed to do was decipher a few road signs, read coins (euros) in order to pay tolls, and watch the rearview mirror if we ventured out into the passing lane. Those high speed travelers come down the road awfully fast! 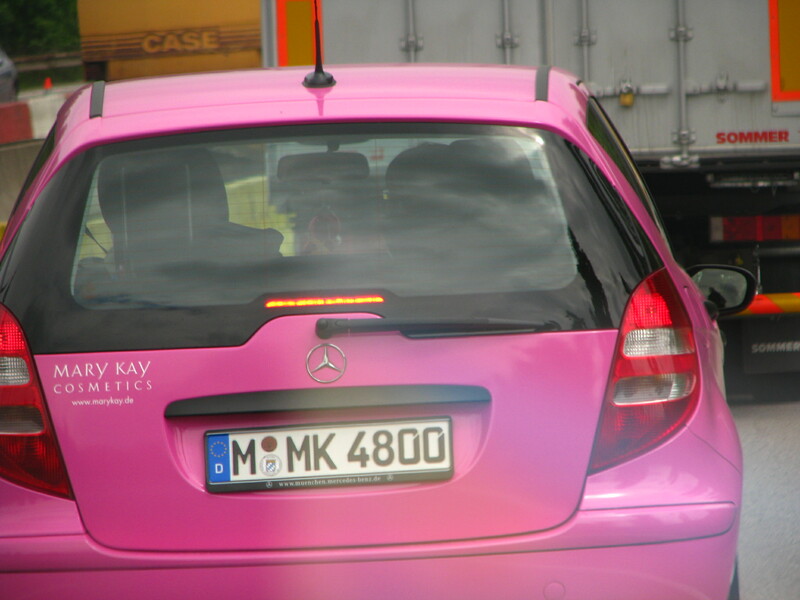 How about a hot pink Mary Kay MERCEDES BENZ! The campground in Dachau was a delightful experience. 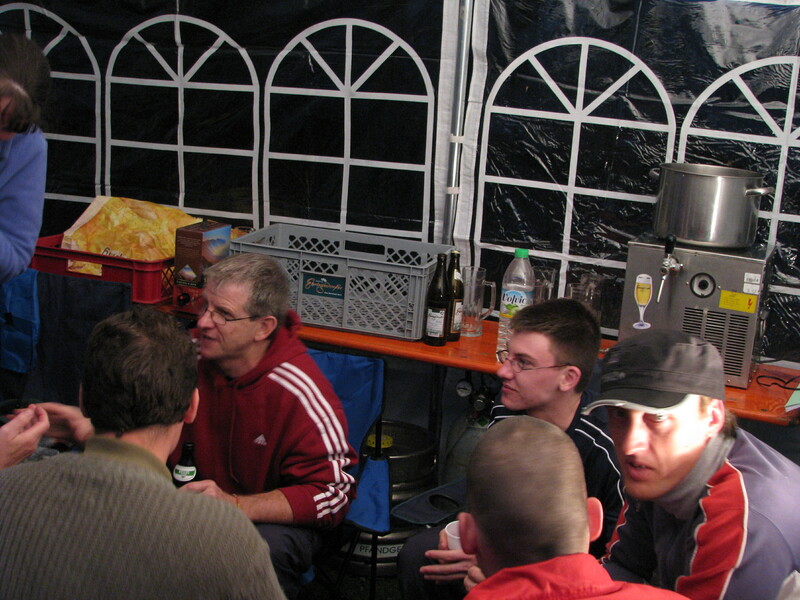 There was a group of German soccer players camping there while they competed in a corporation soccer tournament. They had an enclosure set up to house their table, beer keg and lap top with tunes playing over big speakers. One of the guys was very friendly and decided to invite us to join them. When he found out we were leaving to get dinner, he offered us dinner, too!… bratwurst hotdogs & beer. He claimed that he spoke MTV English… that’s where he learned it. His English was fine: much better than our very limited German. They practiced English & I tried to remember my German from high school in the 1970’s. It was such an encouraging evening, especially on our first night REALLY on the road. 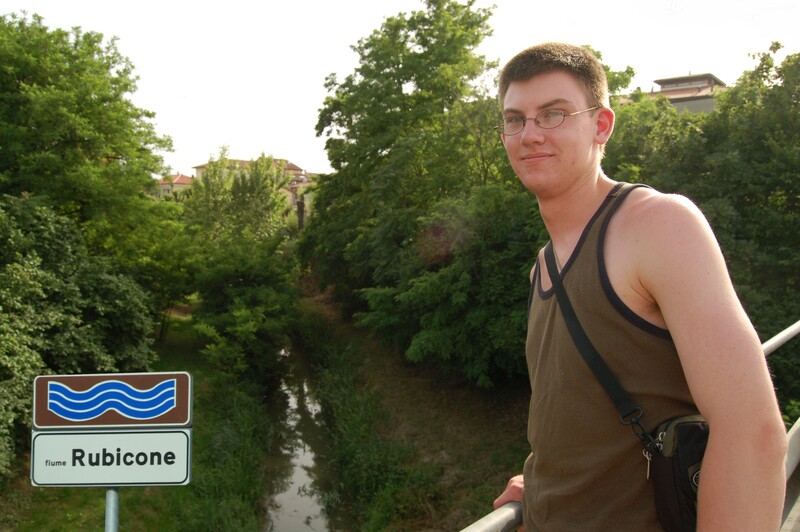 When one fellow, Arno asked where we were going next, he was not all that enthusiastic about us wanting to see castles. You see, there are several right near where he lives… it’s just another castle. 🙂 Another one of our gracious hosts sent John a bottle of German wine! We wanted to return the favor, but shipping alone would be $129, ouch. We so appreciated their hospitality. 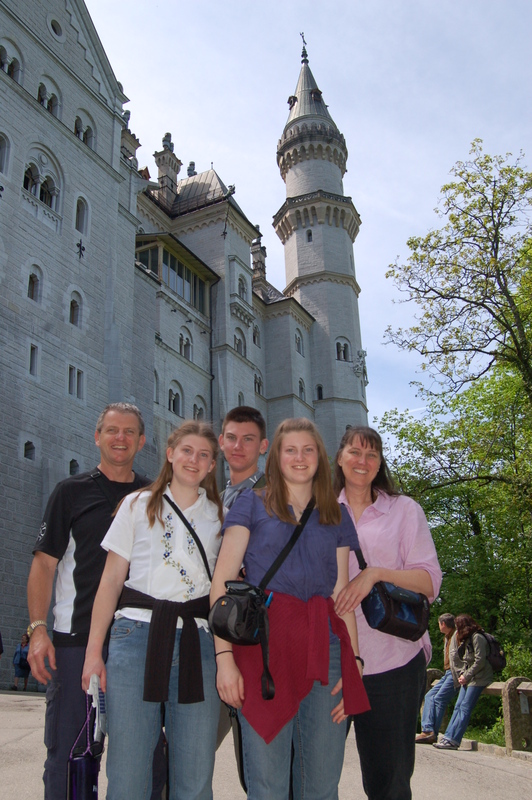 John found himself coming into a greater understanding of his father and many of the Austrian/German things he used to do. Things like wanting John’s mom to cook wienerschnitzel. It was a late night, but a very fun one. Of course they all thought that Molly, Betsy, and Jordan should have a drink and a smoke. That’s one notable thing… so many people smoke cigarettes here. We even saw a guy smoking a pipe on his scooter in the streets of Rome! We also met 3 young men in their 20’s from Vancouver, BC, who had 3 months to travel. 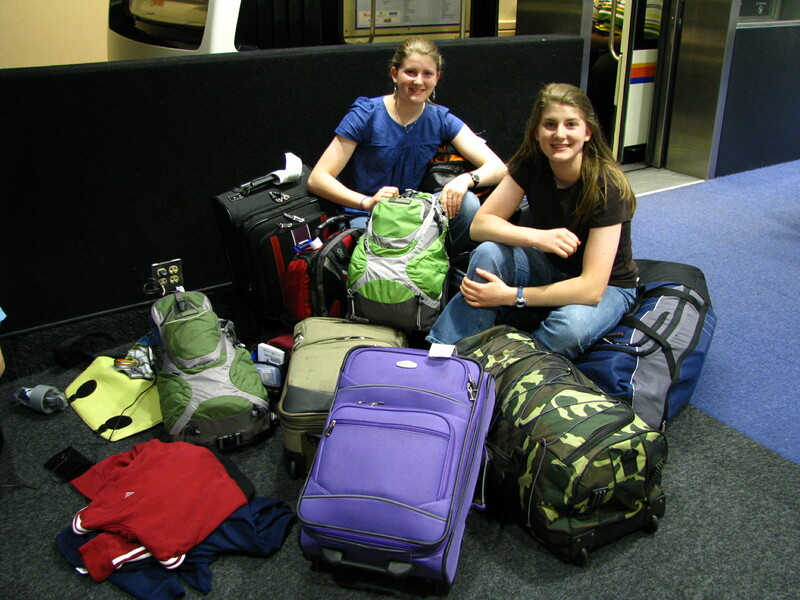 They bought camping gear and a car in England for $500, had a TomTom GPS and money. How’s that for a plan! They just meet people decide where to go next and enter camping info into the TomTom and go! I noticed them heating up water for Ramen… another budget cutter. Dachau was interesting. It was the concentration camp that was in the movie, “Expelled”. It wasn’t as sobering as I thought it would be, but maybe that’s because the site is pretty sterile. I think Auschwitz would be a bit more impacting because so much of it is still intact. One thing that struck me is that I never really put it together that the cremation of the bodies was not the method of killing, it was just the easiest method of disposal of the bodies of those dying ‘natural’ deaths by starvation and disease, as well as those who were gased. 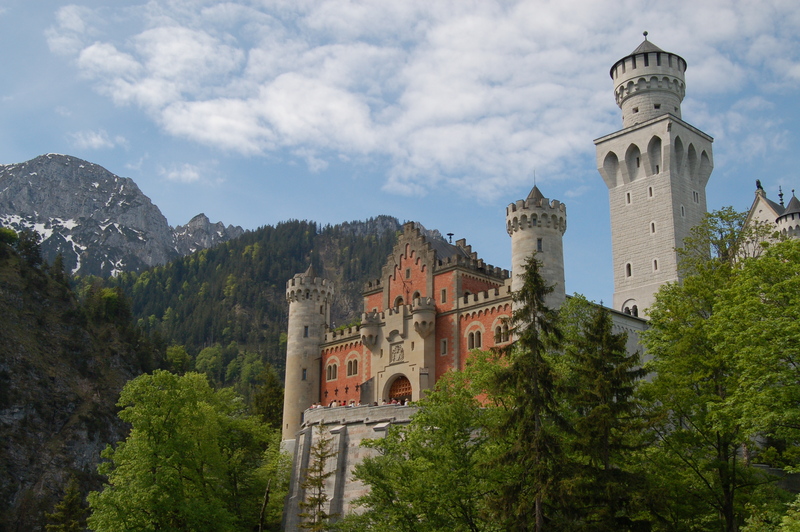 Our next stop was beautiful at the Fussen castles. Not much remarkable there that can’t be imagined. Except, that in the campground where people somehow seem to know we are American & love to chat, we met a man & his son who own a forge that has been in their family since before America declared its independence in 1776. The son makes SWORDS! 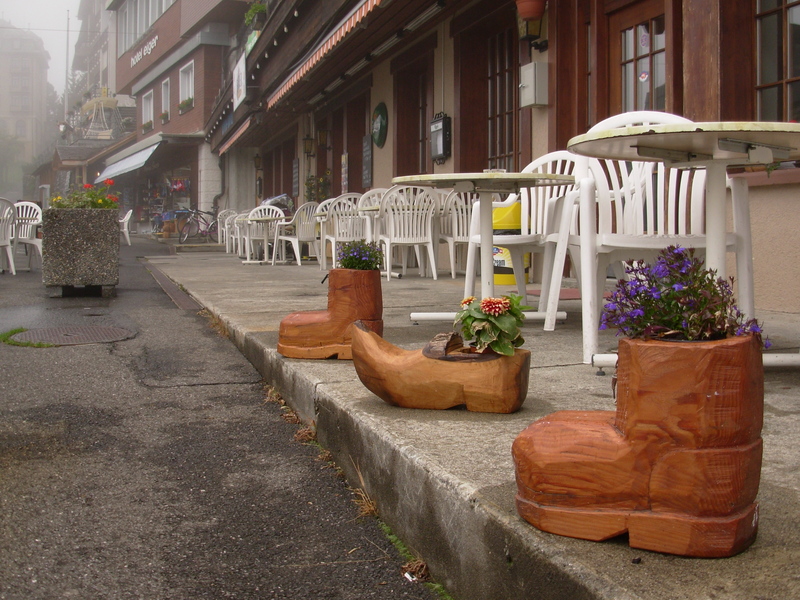 Each one takes about 2 weeks to make, and costs about 300 euros ($450). The Eagles nest was interesting because we made it just in time to catch the last bus up the hill. 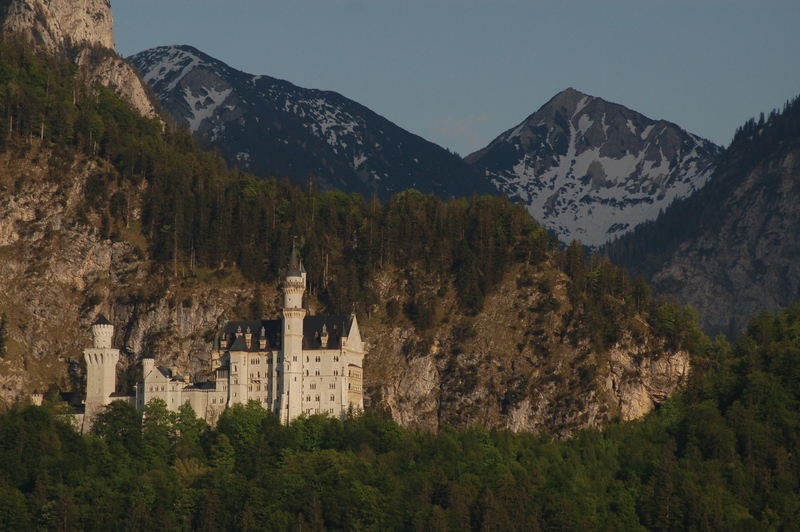 When we reached the elevator up to Hitler’s famed diplomatic dining hall, an alarm started going off. The elevator had been overworked that day (did I forget to say it was a German 4-day holiday… so lots of people were out & about).There were a bunch of people stuck in the elevator when it went out. We couldn’t go down the hill because the fire trucks had to come up. 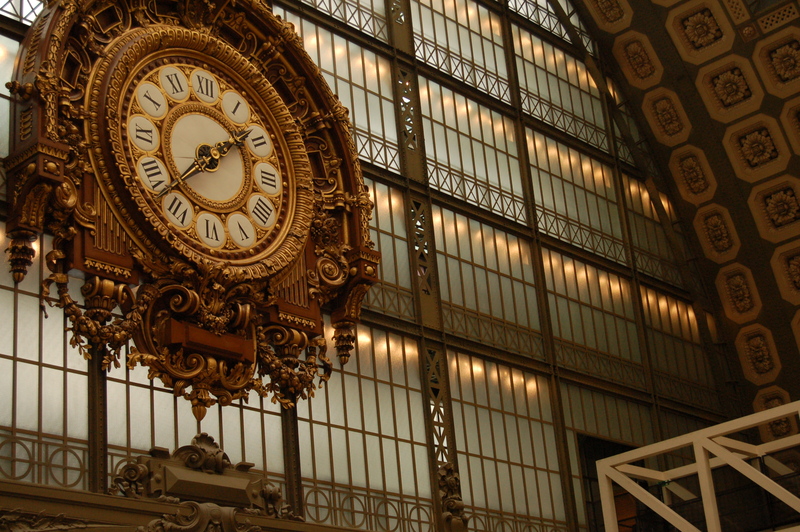 A strike in Paris/Versailles, a broken elevator in the Eagles nest… is this the way the trip would go? We could just laugh, enjoy the incredible view & trust God. 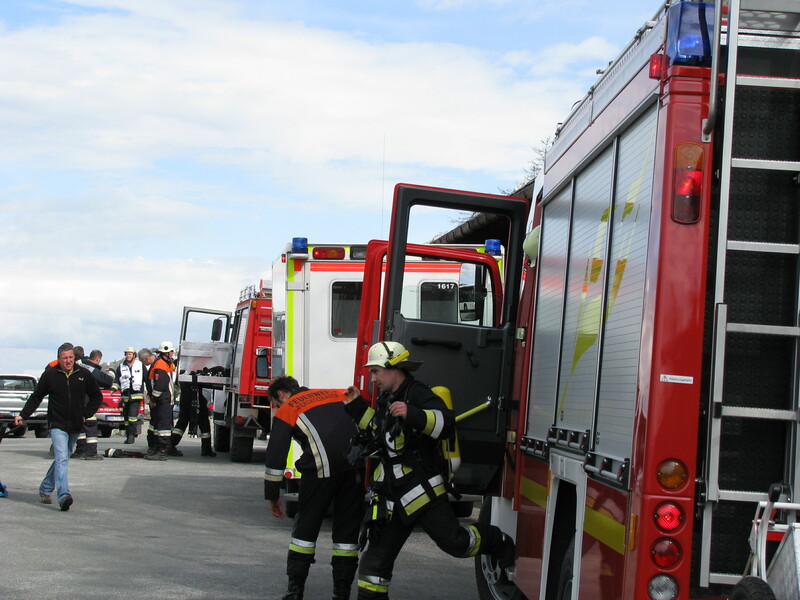 We DID get to see a whole ton of fire engines and even a red VW Eurovan (just like ours) and a red VW vanagon (like our old one)! 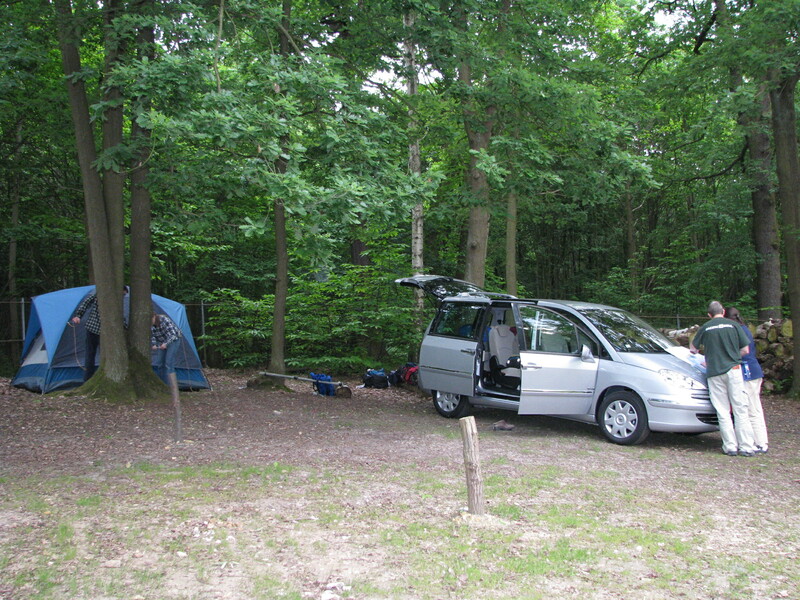 Did I mention that our Eurovan would be so at home here… tons of VW Eurovans on the road and especially in the campgrounds. By the way, the campgrounds are nice, and the facilities are mostly what we’re used to… just a bit pricey. 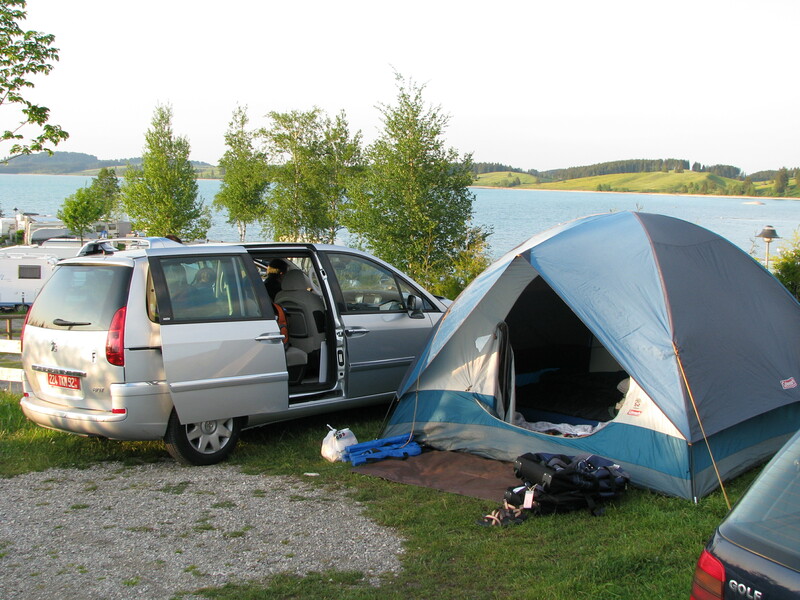 We pay 5 – 8 euros per person plus a 5-8 euro fee for the car and some more for the tent. The lowest was 25 euros and the highest maybe 65 euros ($1.5 per euro) ouch! The campsites so far are different… pack ’em in tight. We try to save by eating food from the grocery store for breakfast and lunch. 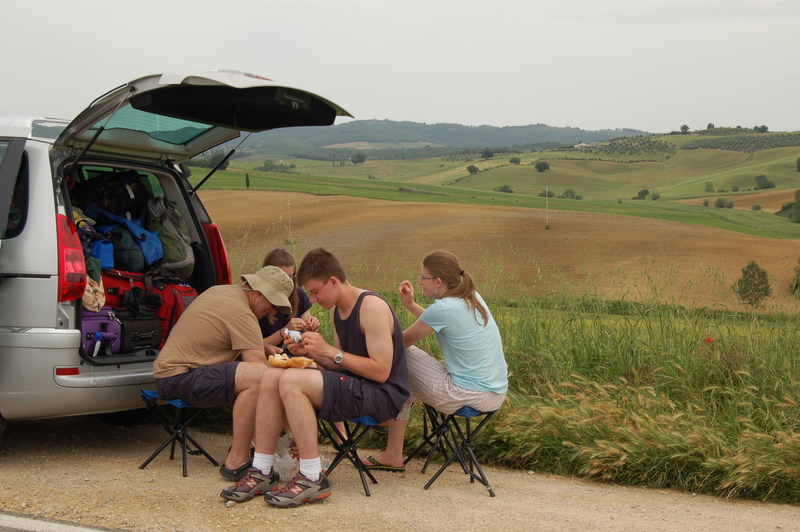 John is ready for something other than sandwiches for lunch… but the scenery can be great! Germany is so pretty. All is green because summer hasn’t set in. Each town has a church. The steeple is either pointy or rounded. We think it must be the difference between Eastern orthodox and Catholic, or Catholic & Protestant… something like that anyway. 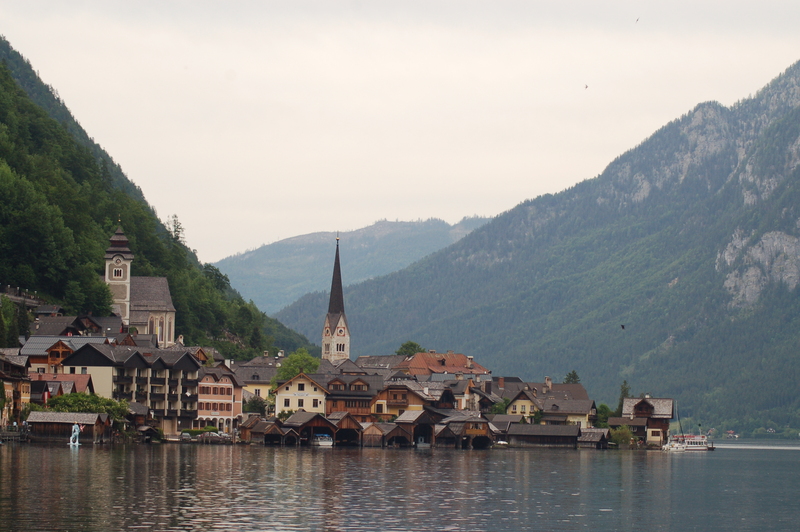 Hallstatt, Austria was beautiful… then we were off to Venice. 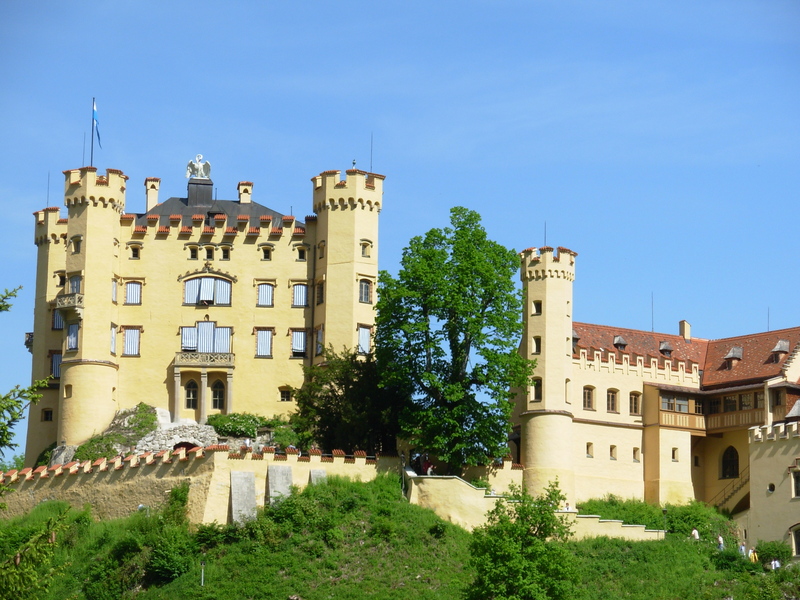 Adding Dachau, along with the lost time at the Eagles nest, forced us to drop Castelrotto. Venice was beautiful, but seemed a bit worn out, compared to Rome. At times it smelled a bit like Mexico (sewage), but not always. 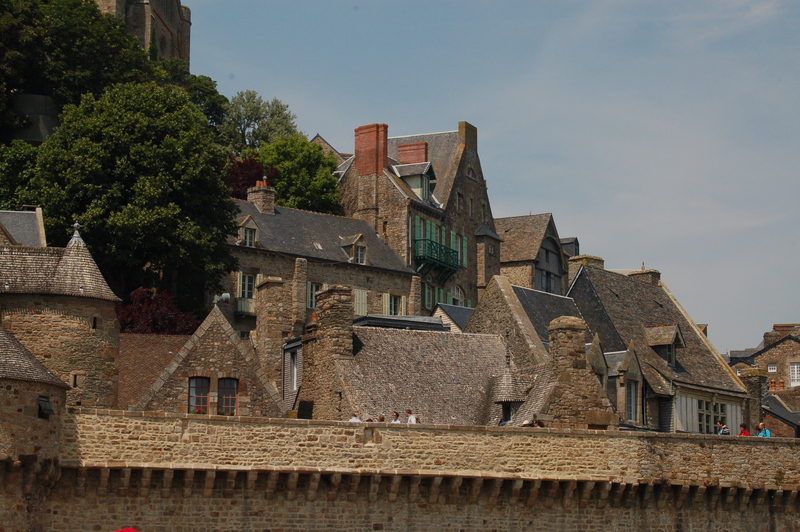 The narrow streets were very fun to get lost in, and cooler than the wider sunlit squares. Is it just a coincidence that the only places to sit are the chairs at the restaurants? 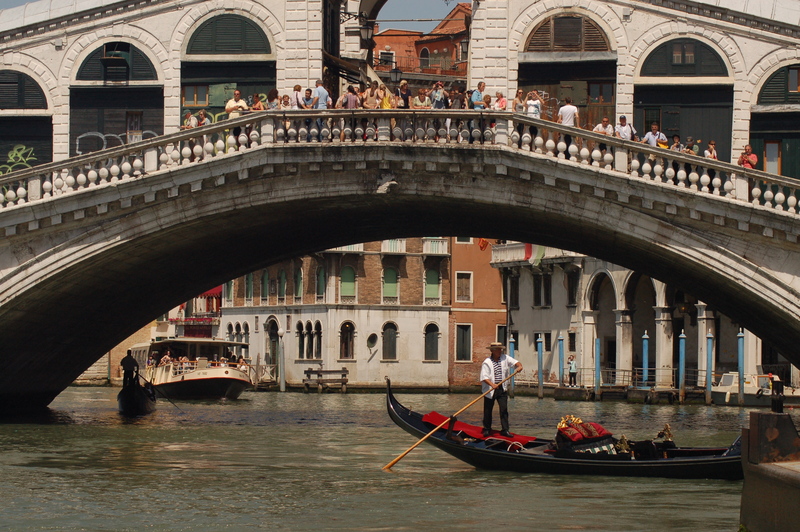 We boarded one of the vaporettos (water bus) and traveled down the Grand canal along with many gondolas and a multitude of motorized boats. 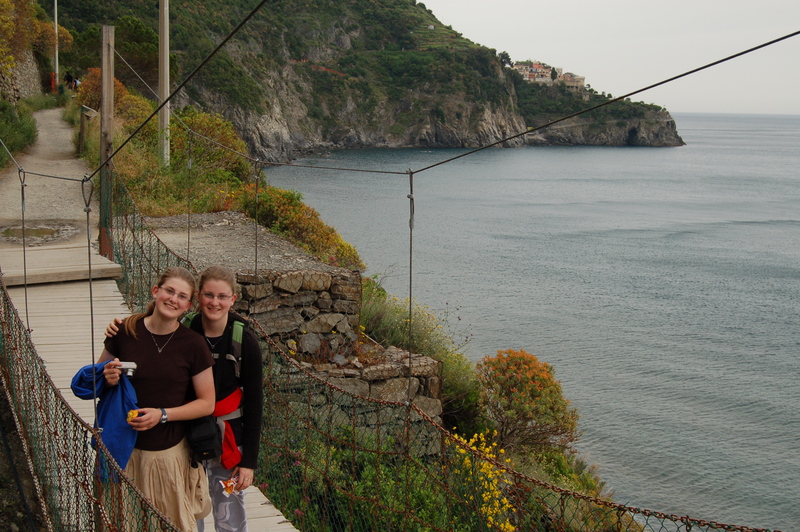 It was a bit of a brain strain to switch from French to German and then to Italian so quickly, but we survived. St. Mark’s basilica has exquisite mosaics. It was REALLY fun to listen to the English guide explain the mosaics that depict Genesis. I LOVE the scripture where the spirit of God hovers over the void, almost in anticipation of the joy set before Him in creation (before the Fall). I found myself crying as the guide told our group the story. The Doge’s Palace was beautiful to begin with, and each successive room was more grand than the previous one. 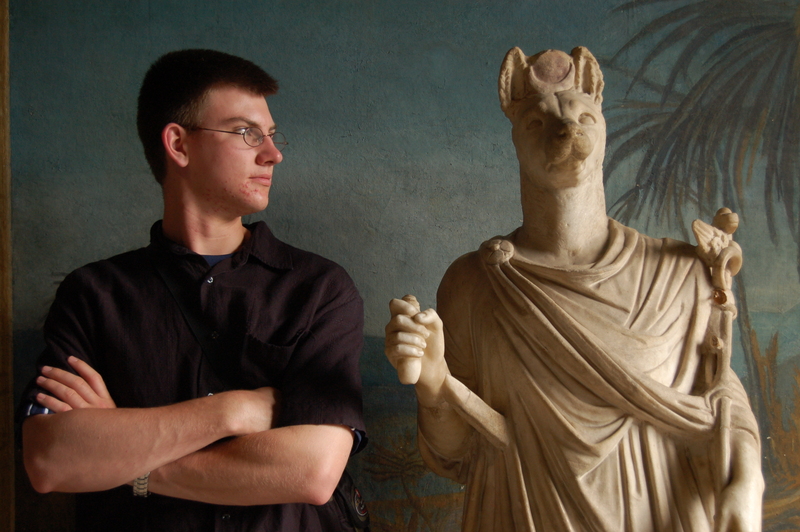 Jordan & John enjoyed the basilica, but had a GREAT time cruising through all the weaponry displayed in the Doge’s Palace. Jordan even spyed a gun that had the capability of shooting arrows, too. Enough for now, this will be continued later. Since it takes so much time to upload photos, Betsy is putting together a Picassa web album we’ll give a link for. 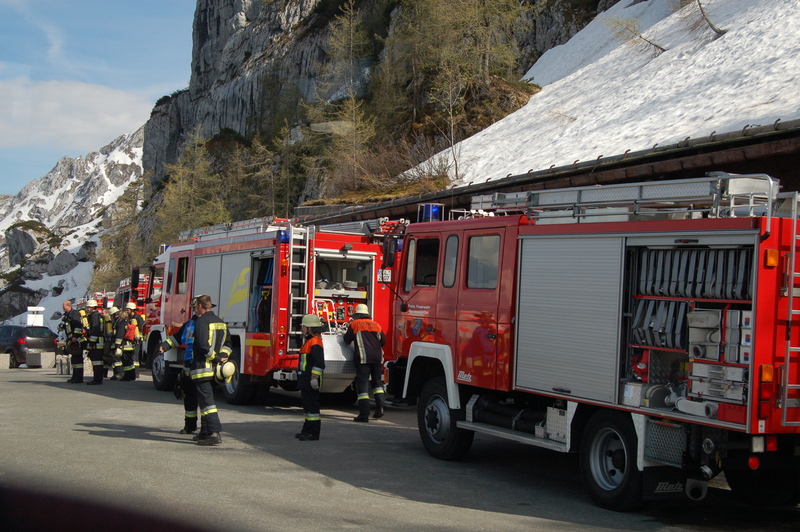 Right now we are in Lauterbrunnen, Switzerland. It’s raining today, so we are hoping for the weather to clear a bit tomorrow to go hiking. We are having a great time, no matter what happens to our plans. We just wanted to let you know that we’re doing okay. This has been our first opportunity to connect to wifi. 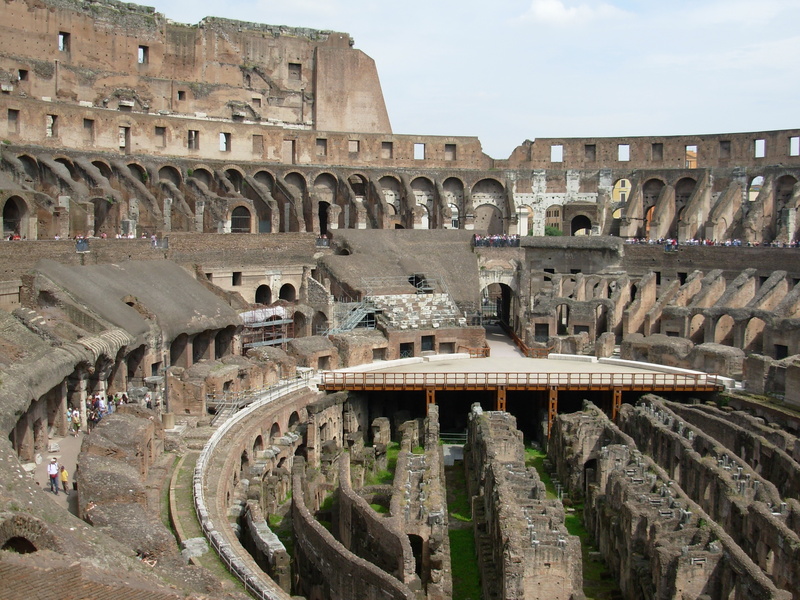 We are camped outside of Rome at the moment and will be touring it for the next two days. For all of those who asked us to take pictures… you have your wish. So far, we’ve taken about 2,000 pictures (including videos). : ) Betsy is loving her new camera. Austria: Hallstat (cozy little town on a lake)- Toured the oldest salt mine in the world! 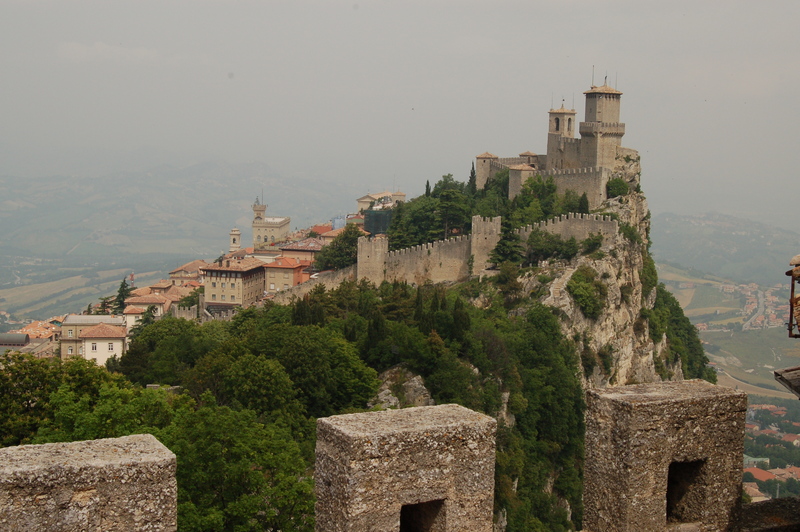 San Marino: yes… 3rd smallest country in the world (inside of Italy). First and oldest republic. (remember… fellow Maggie Reich geographers?) I have since discovered that it is the 5th smallest country. Tuvalu & Vanuato, both island countries in Oceania (So. Pacific) are smaller. We’ve really enjoyed being the aliens and having to work at ordering meals, reserving campsites, and asking for directions. Many people speak English though and it has really given us an appreciation for the language. It has been challenging but fun when we enter a new country to switch our brains to the new language. 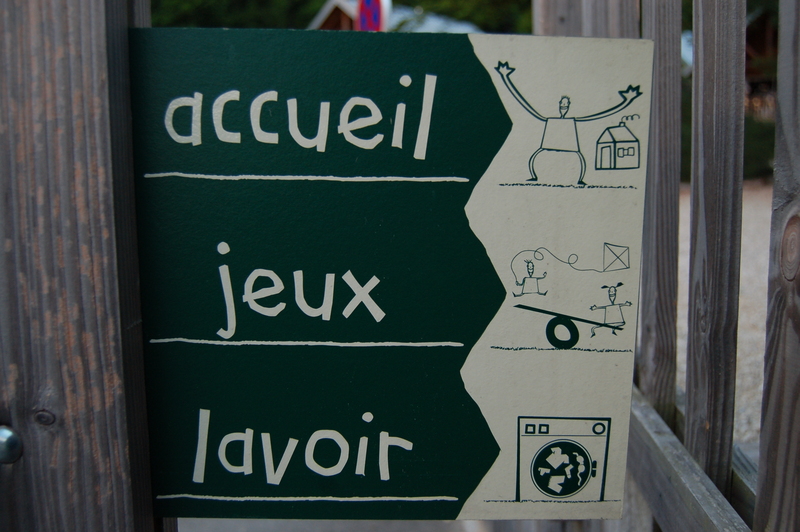 We found ourselves saying “merci” (French) instead of “danke” for thank you in German. Our plans have constantly been changing from the get go. But God has been there the whole time. 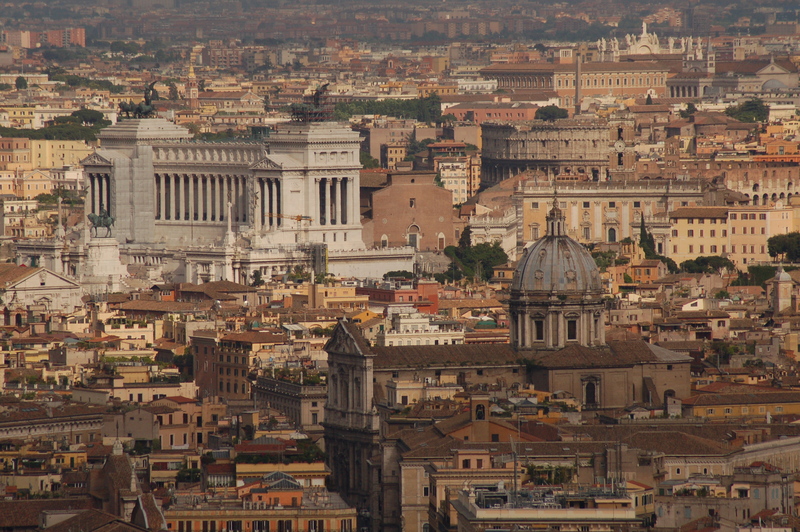 If it had not been for the strikes in Versailles and Paris, we would have been entering Rome on the weekend. In addition, we have met some really cool people and had good experiences that we would not have had if God had not changed our plans. We are grateful. 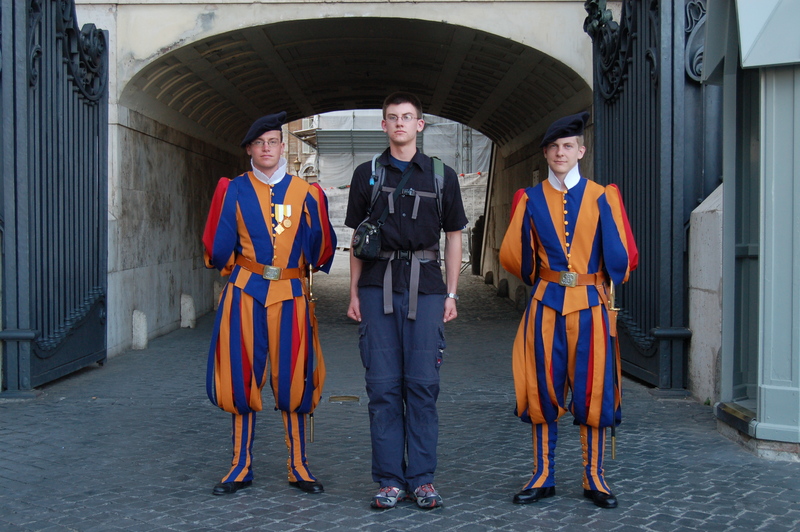 Jordan with the guards at the Vatican. 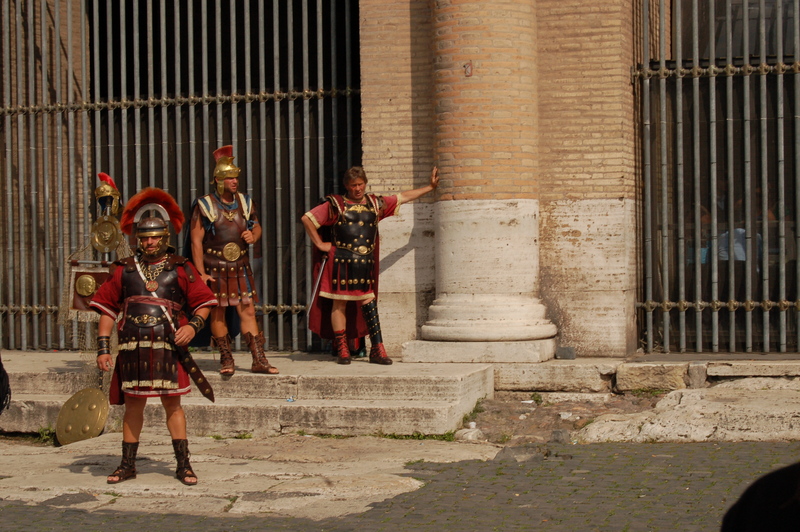 Unlike the ‘centurions’ in front of the Colosseum, you don’t have to pay these guys to pose with you. We don’t know when we’ll be able to connect to wifi next, so if you don’t hear from us, just know that we are thinking of you and love you all.